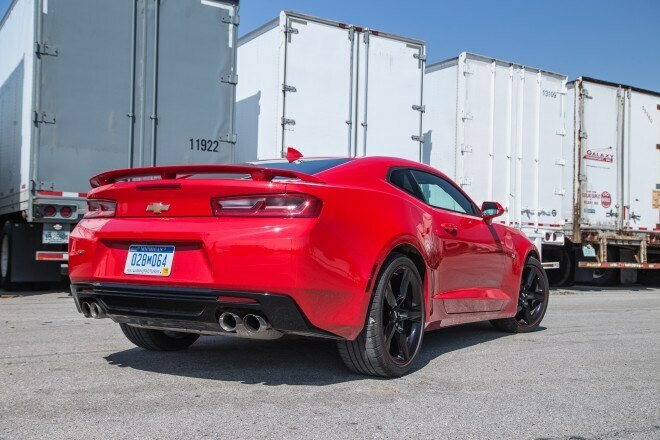 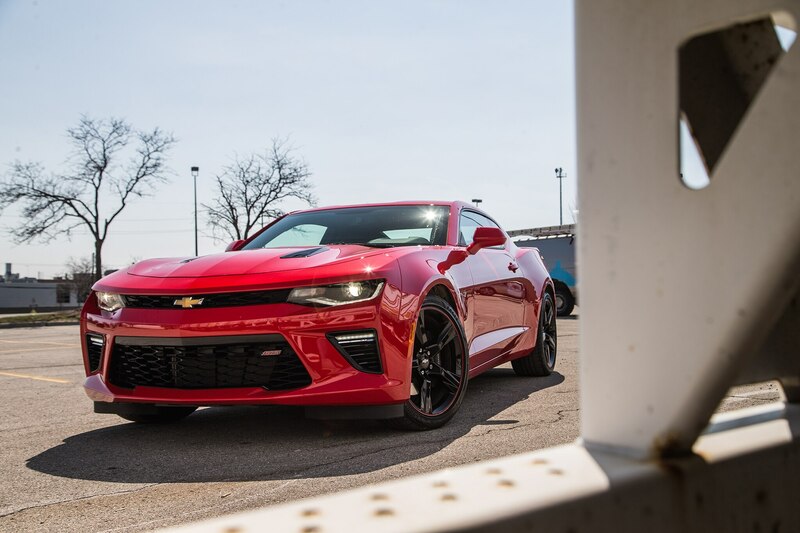 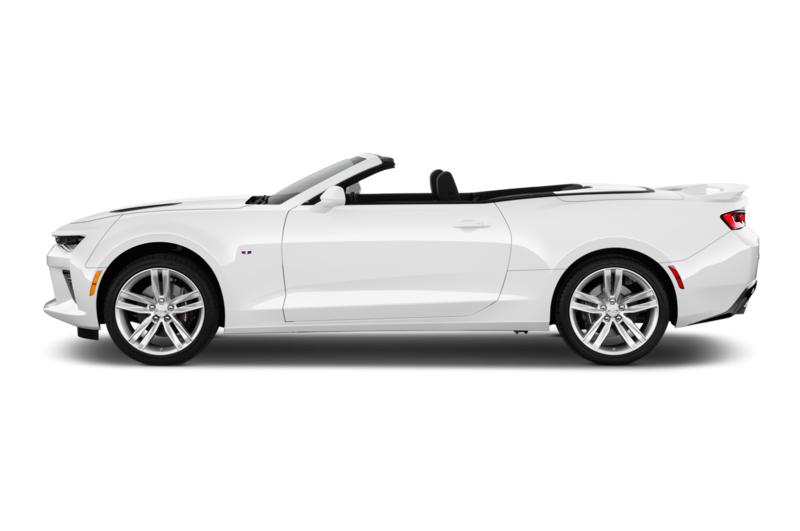 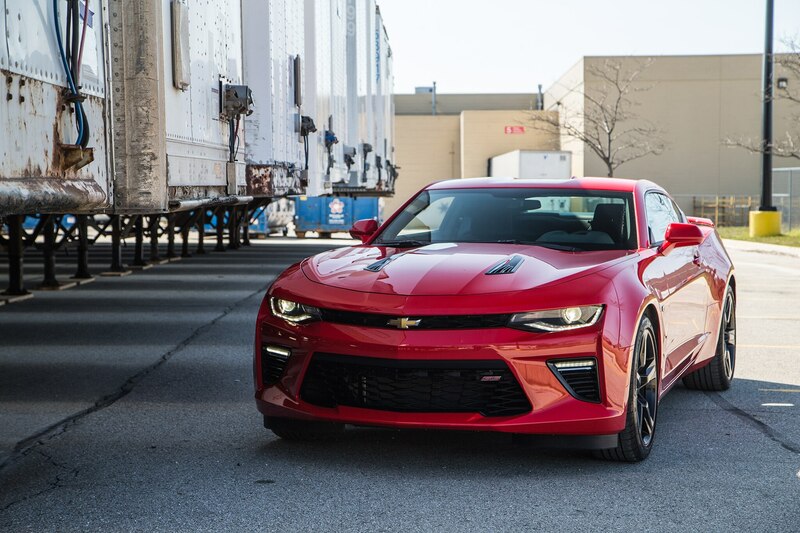 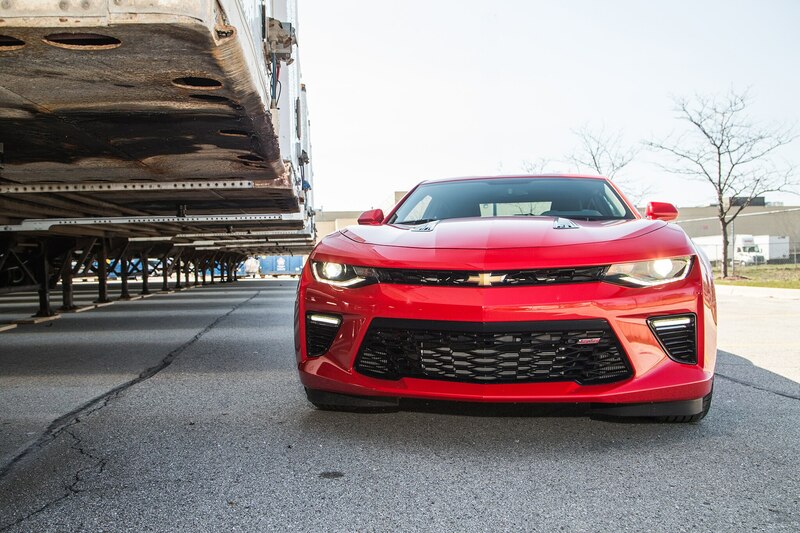 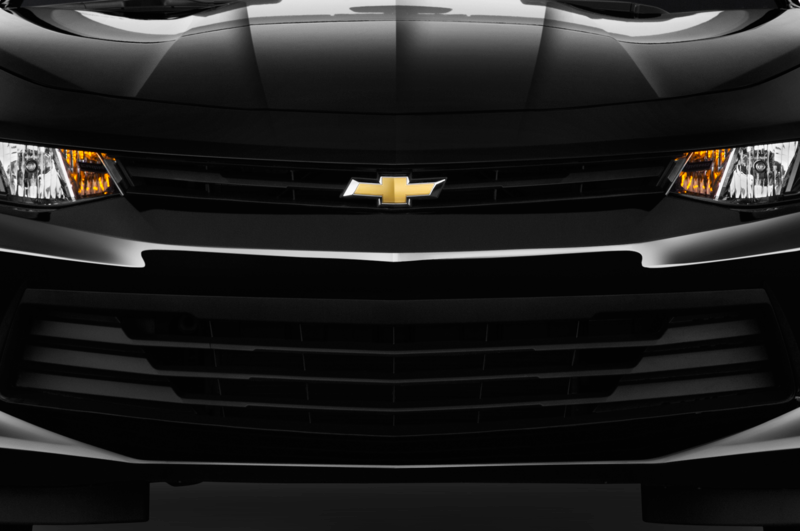 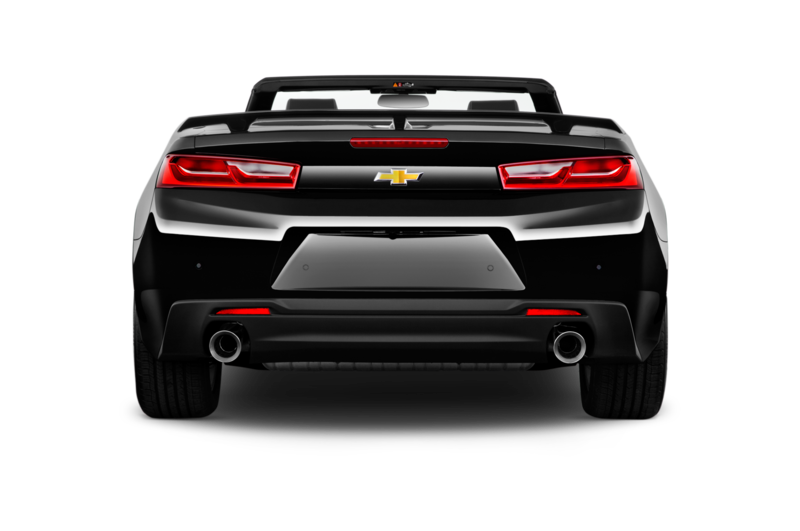 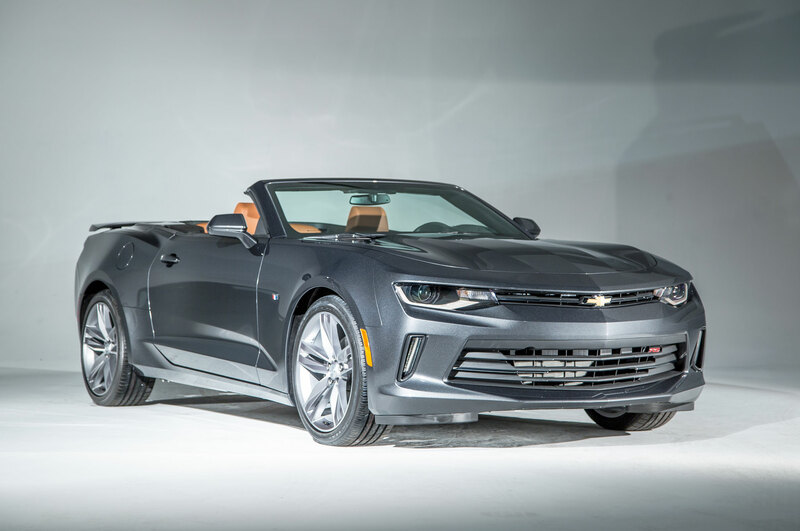 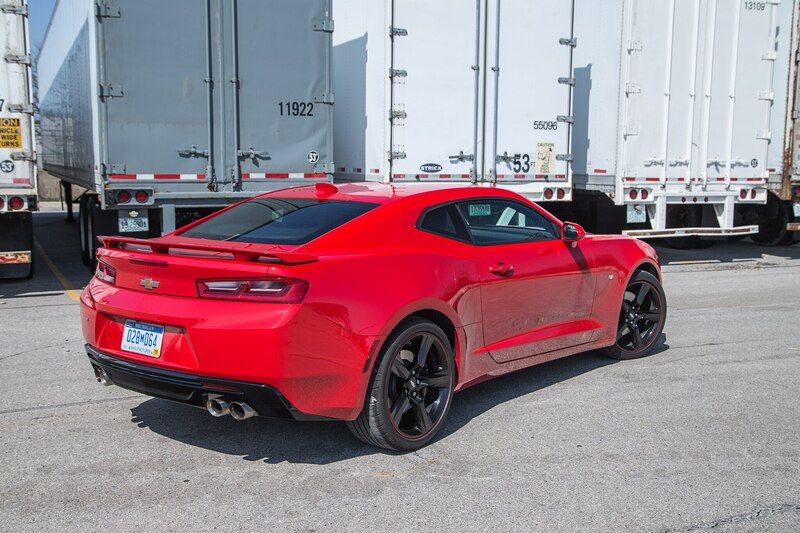 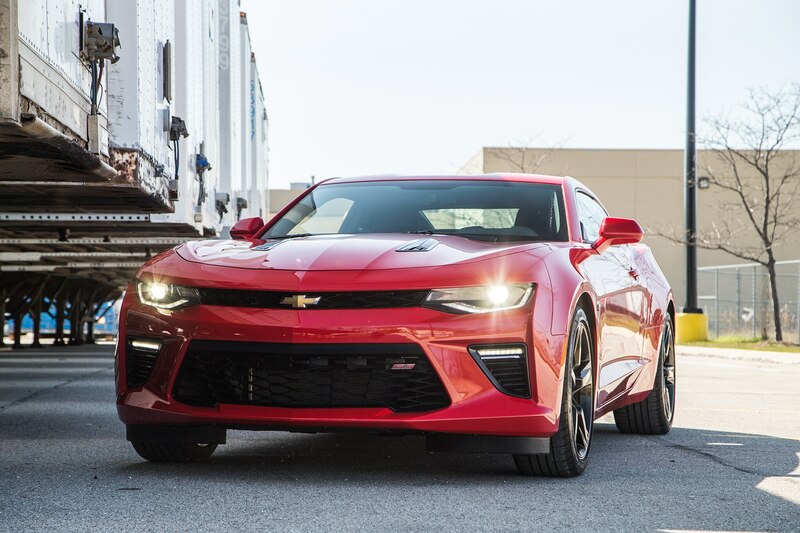 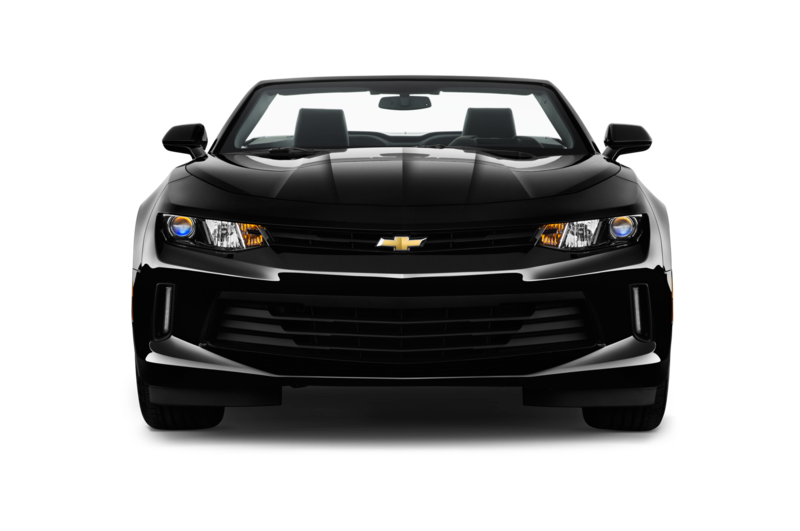 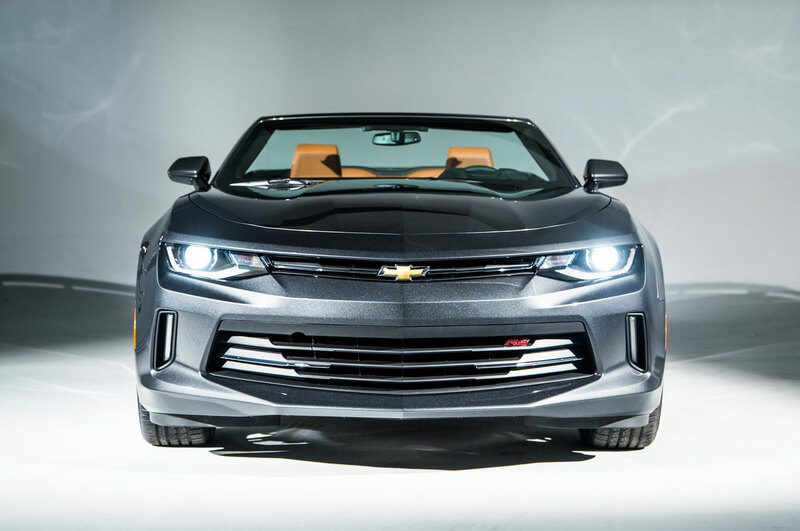 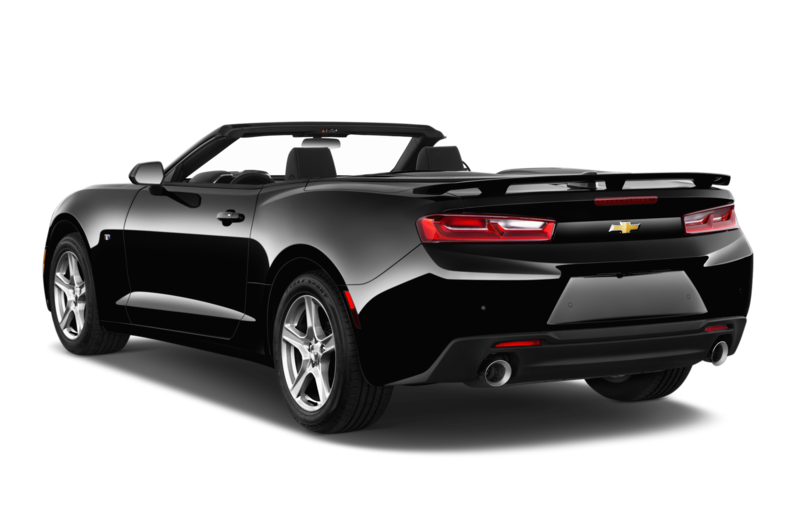 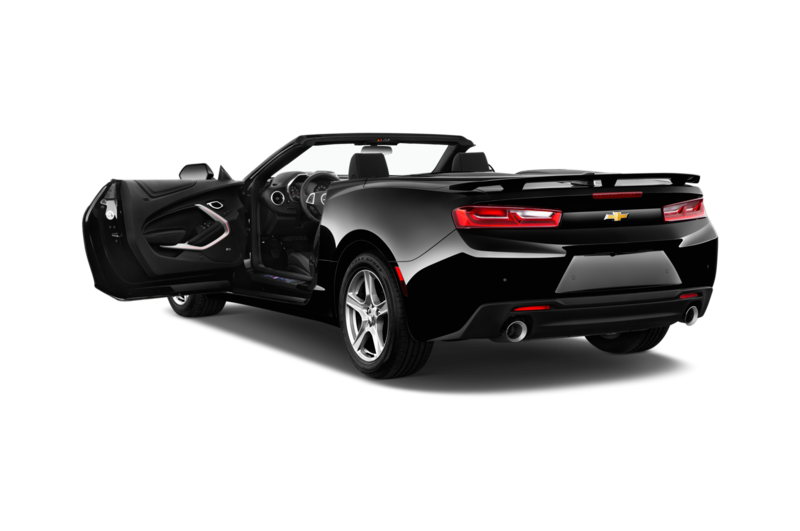 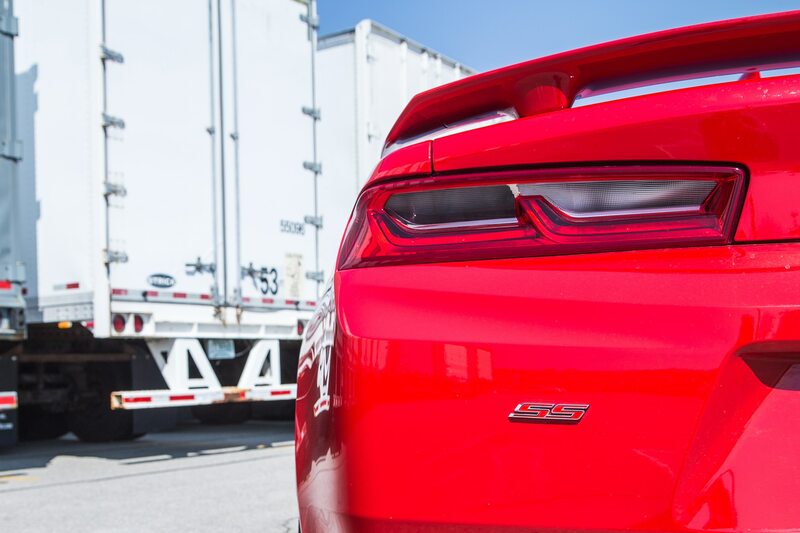 The best thing about the 2016 Chevrolet Camaro SS is its LT1 V-8, a torquey, snarling beast that unleashes a wave of torque from idle right up to its redline. 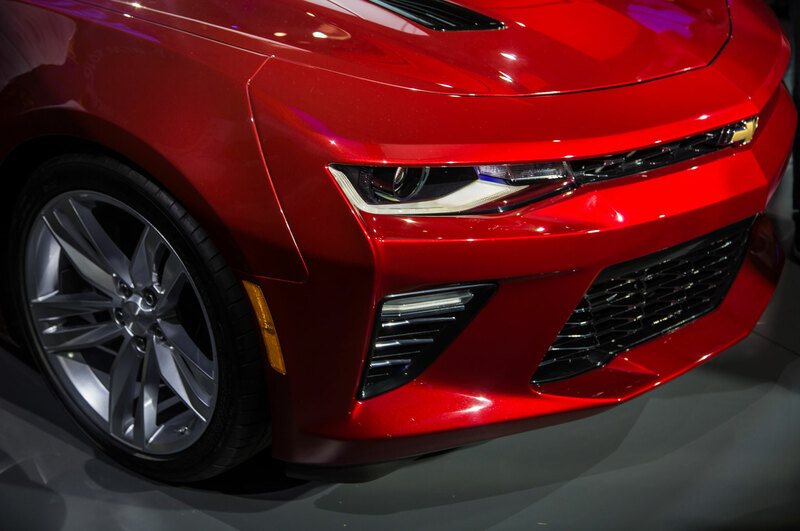 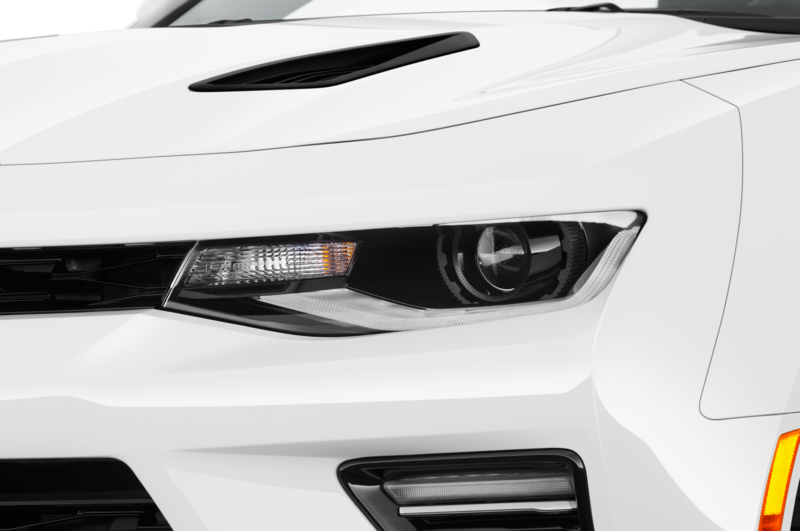 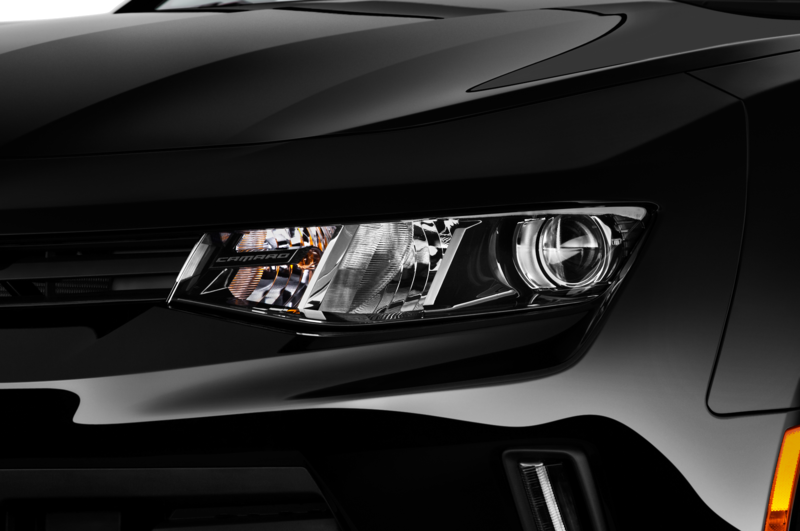 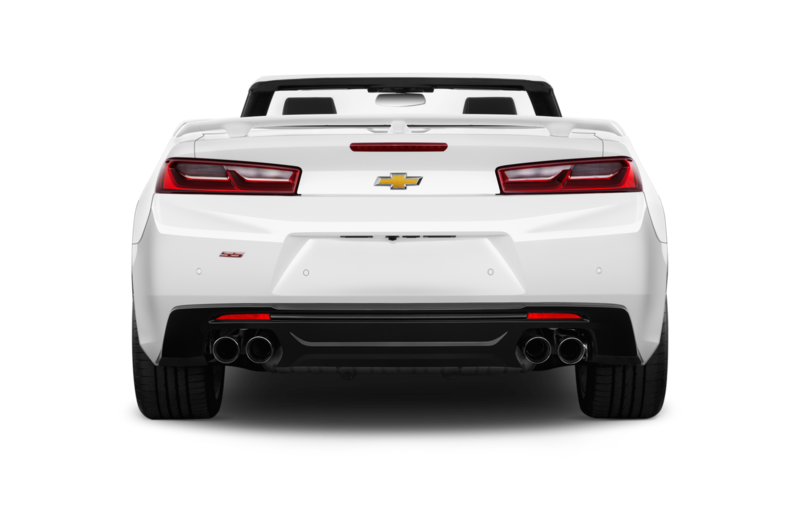 Yet this all-new Camaro is more than just a straight-line bruiser. 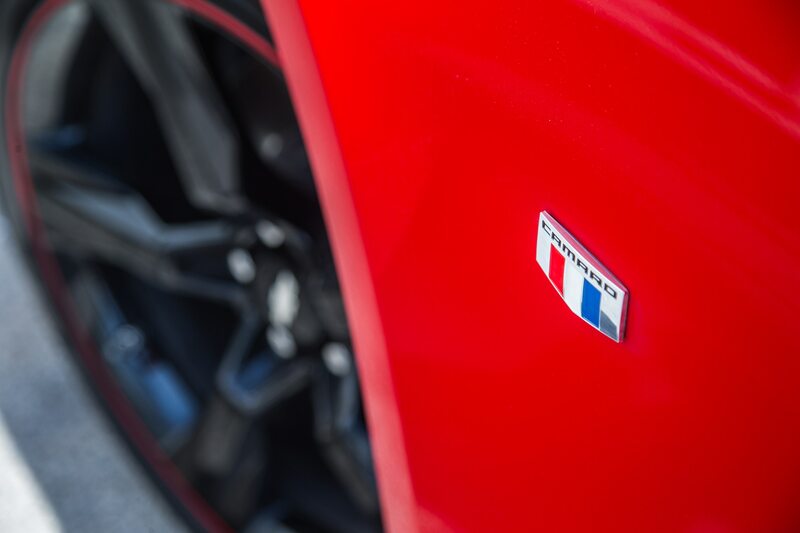 Lighter and smaller than its predecessor, it can turn and stop with aplomb, too. 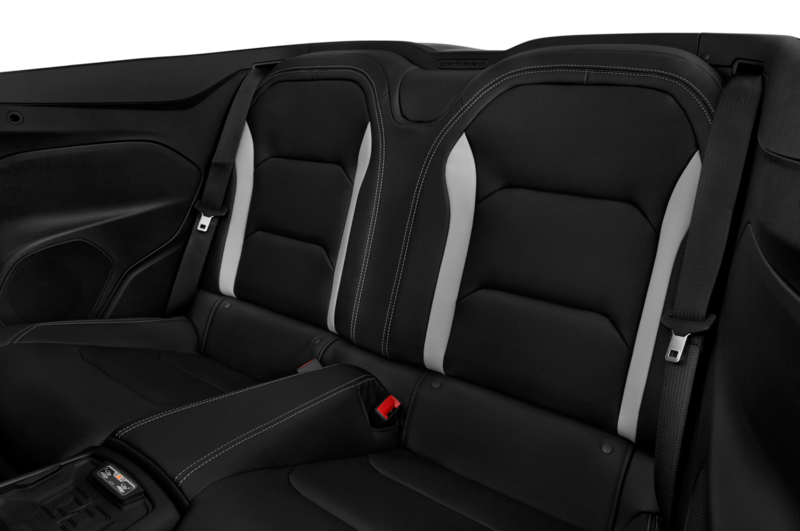 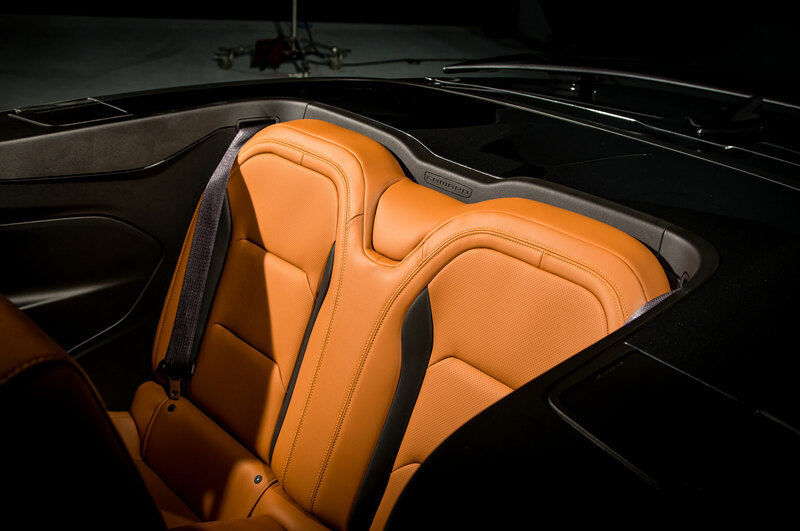 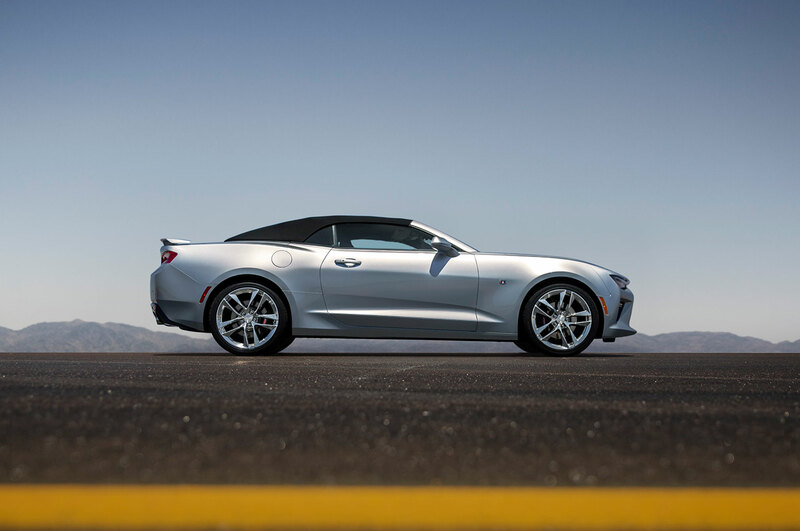 It’s a world-class sports car that just happens to look like a traditional muscle car. 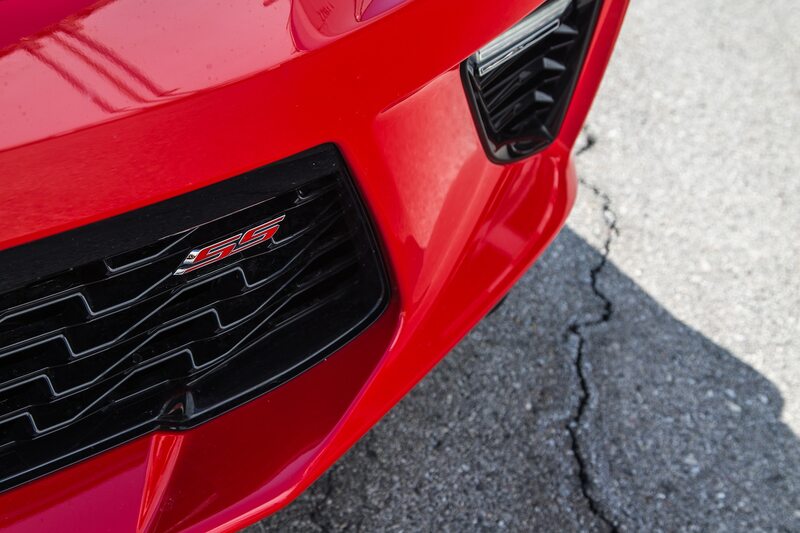 When we find curvy roads, we realize that a killer engine is only part of the Camaro’s appeal. 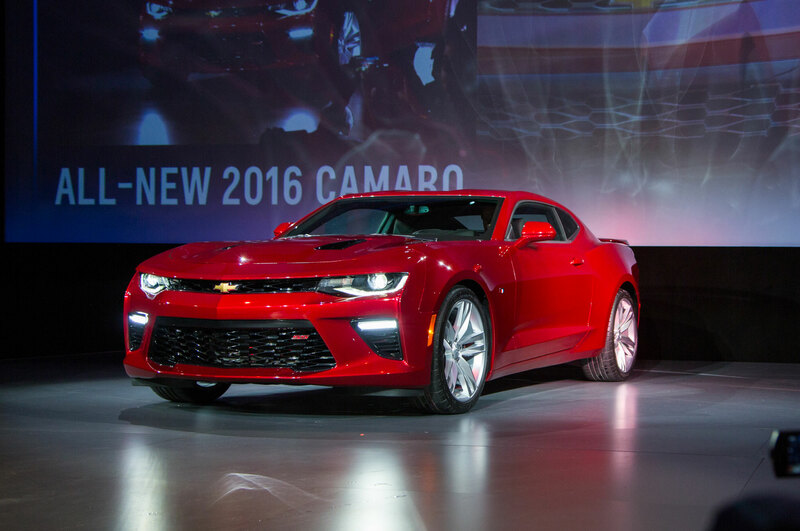 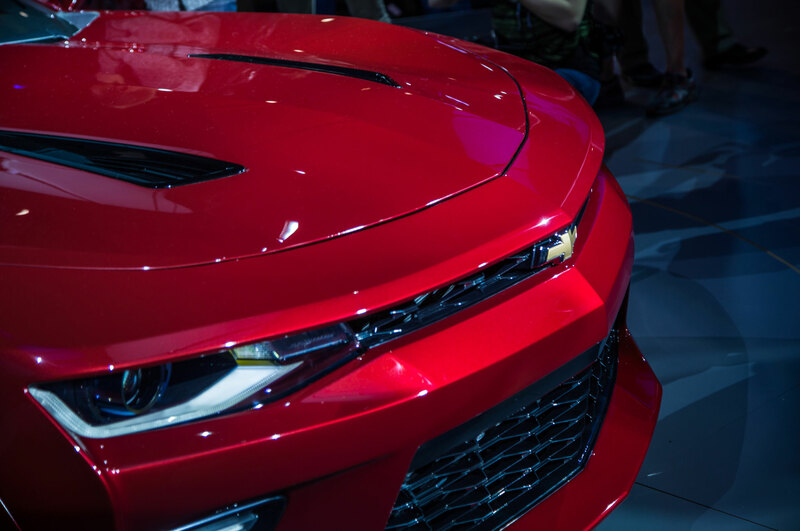 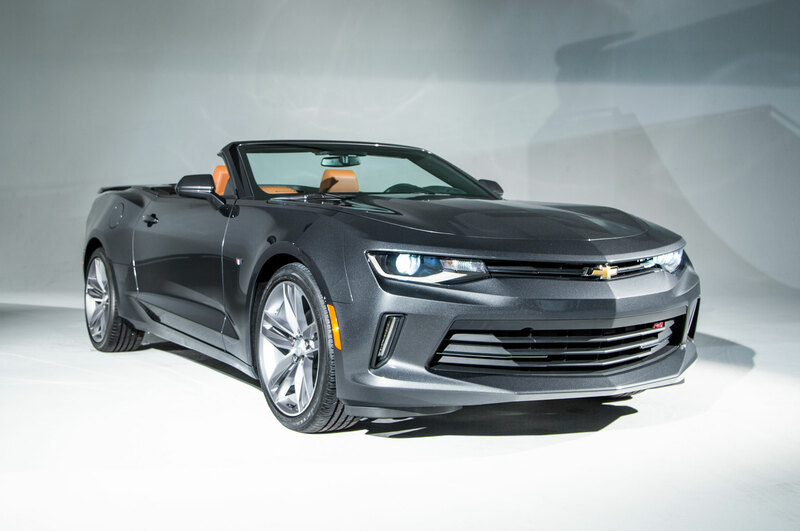 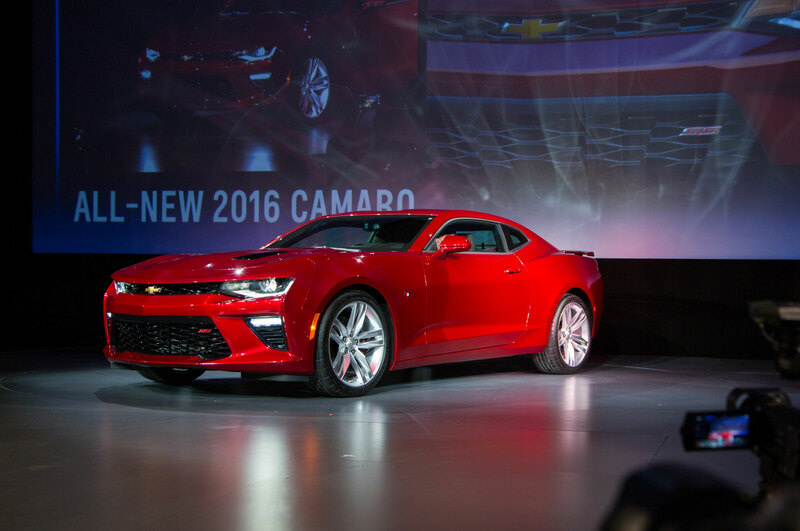 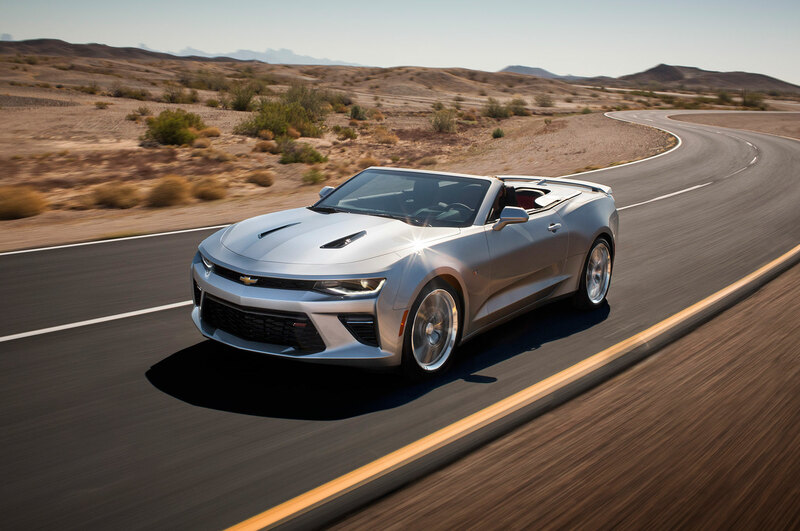 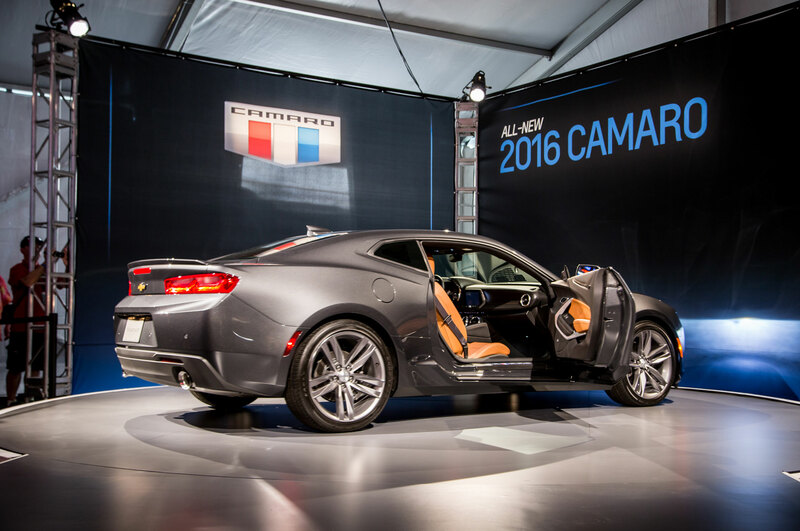 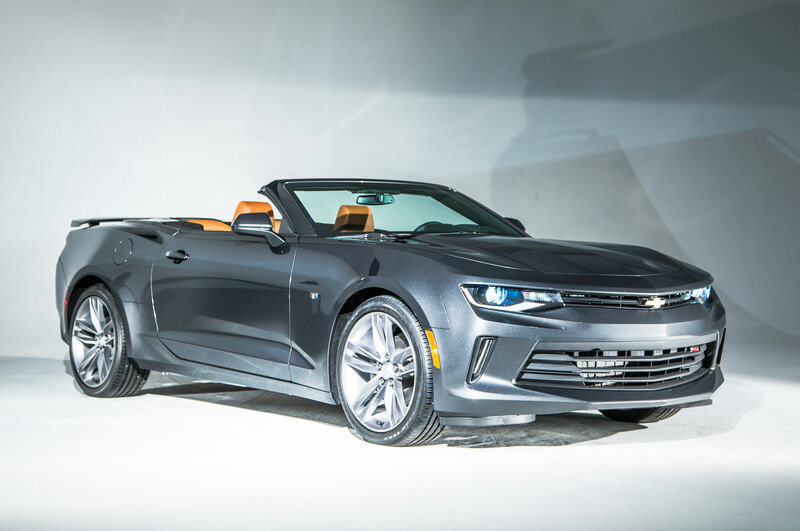 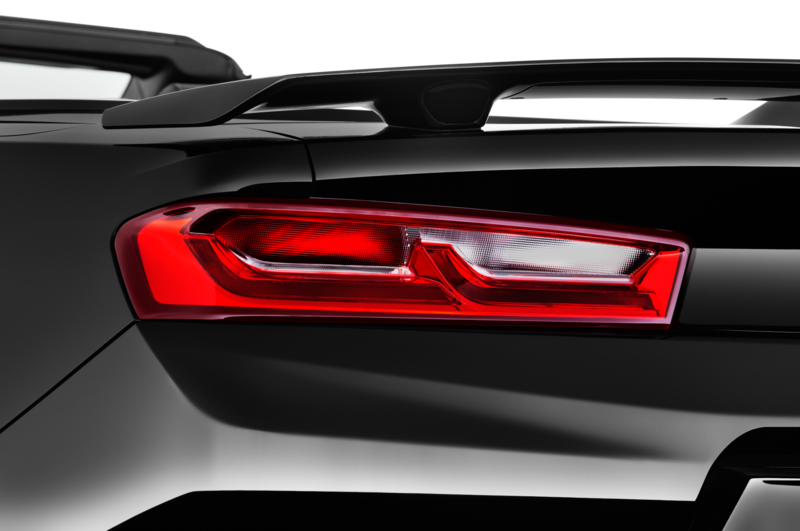 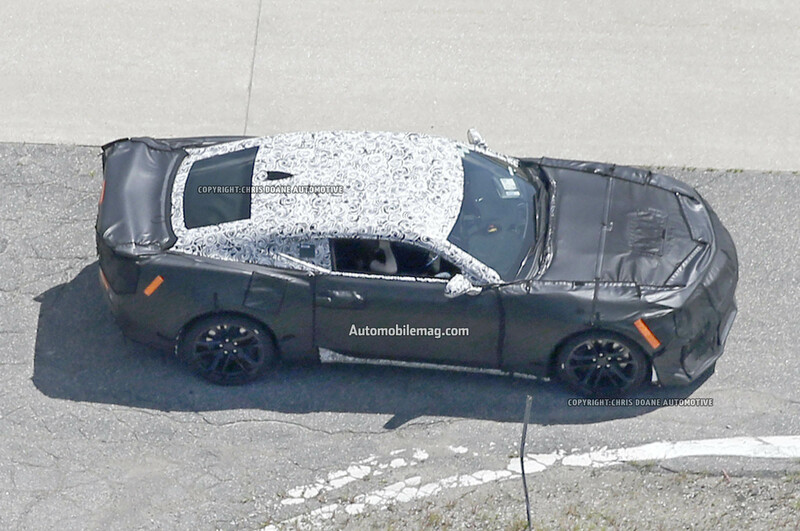 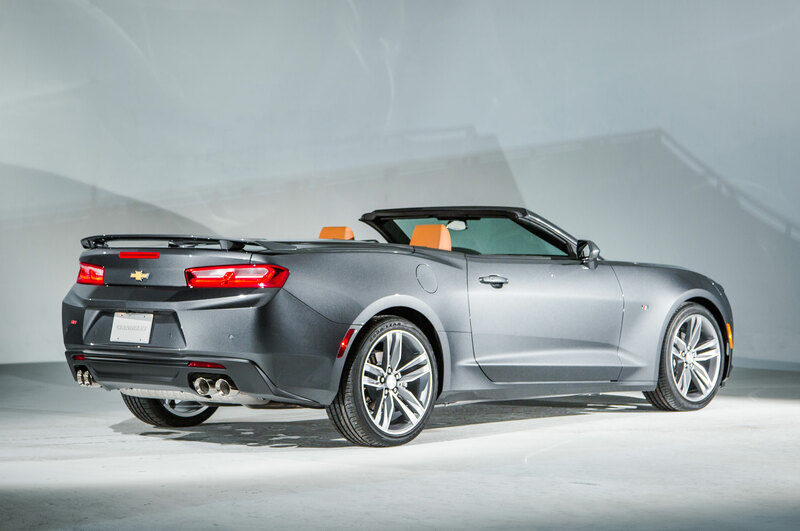 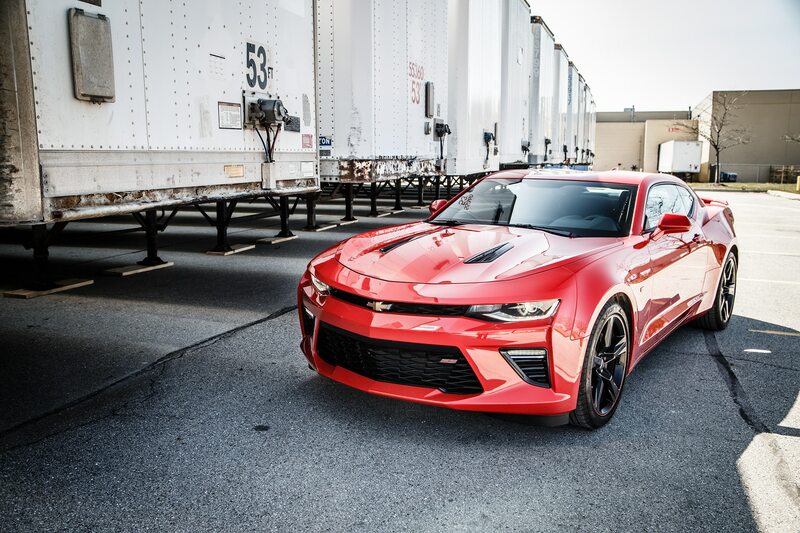 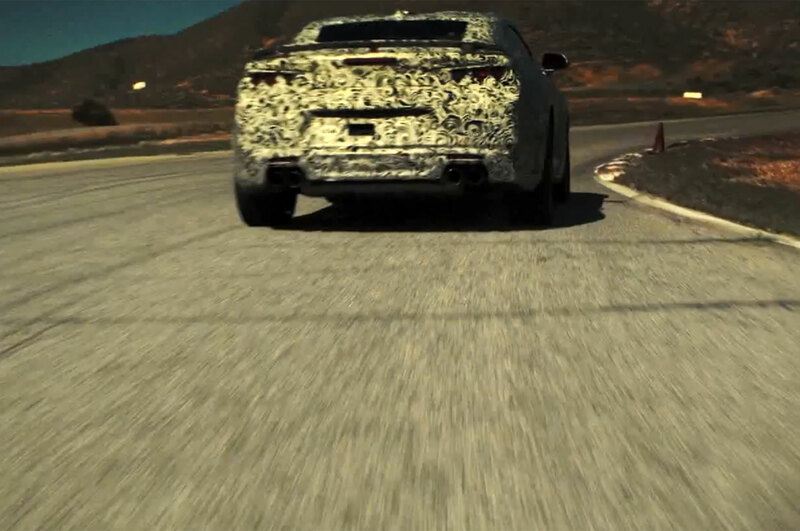 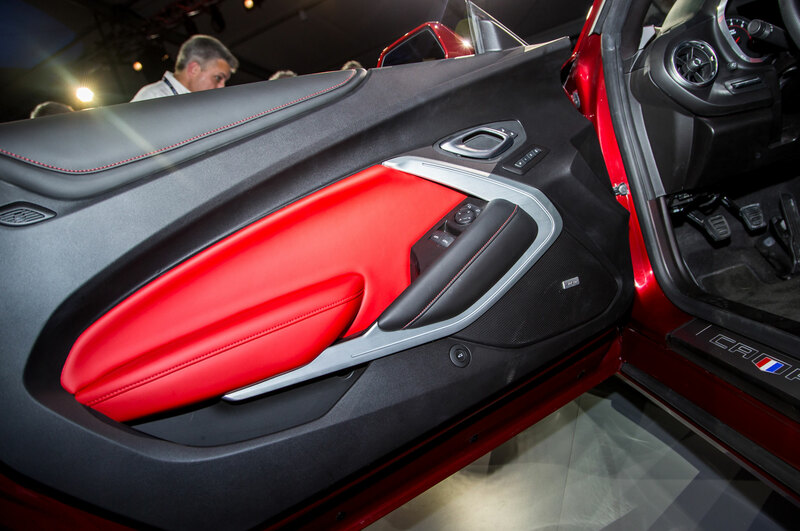 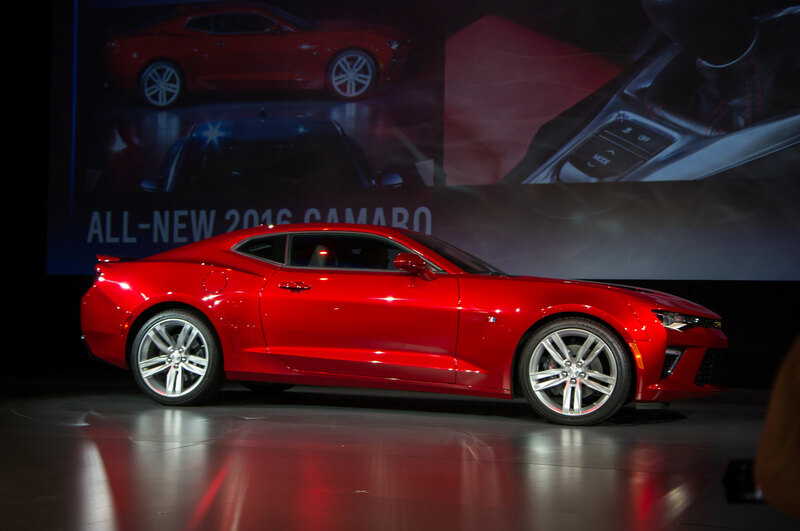 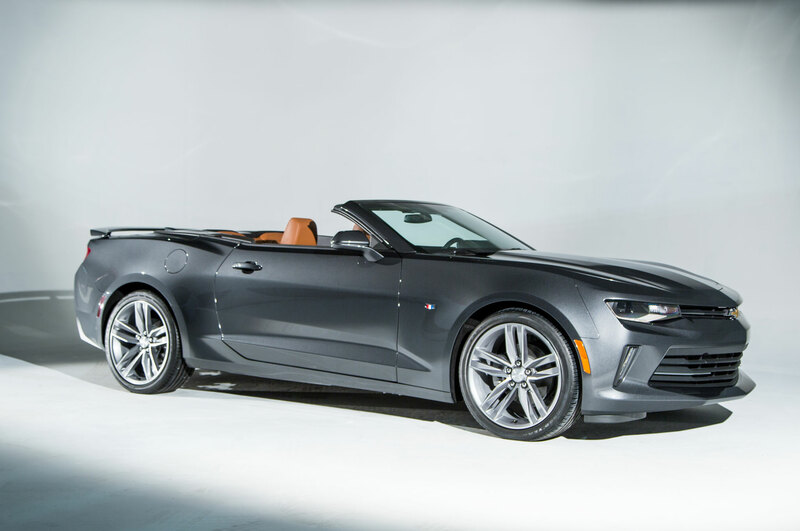 Built atop the same Alpha platform used for Cadillac’s ATS, the Camaro feels more scalpel than sledgehammer. 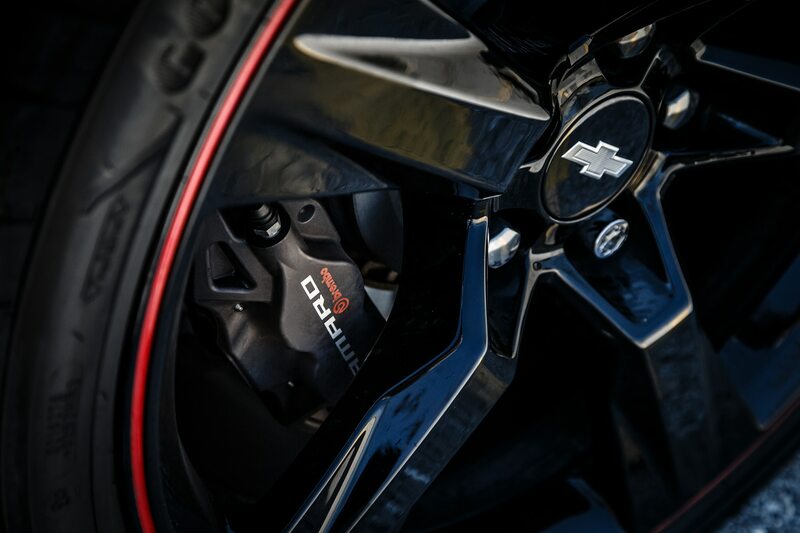 Sharp electric power steering builds up weight predictably and naturally, allowing us to dial in exactly the right amount of steering for every bend. 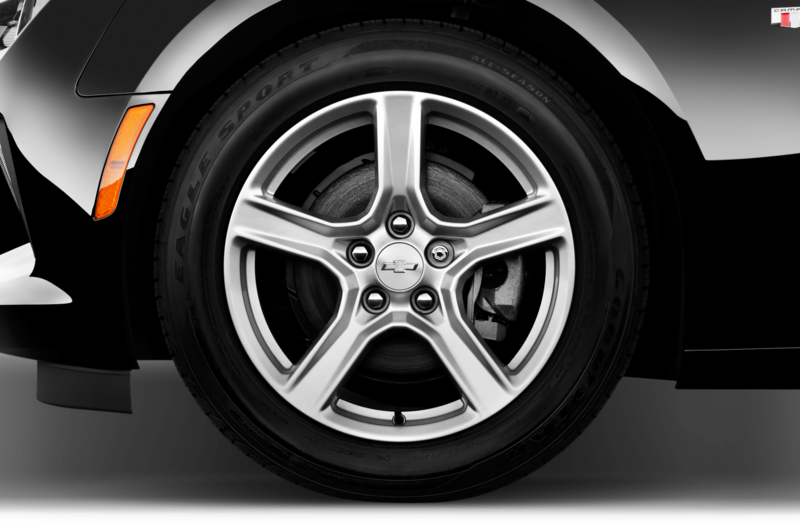 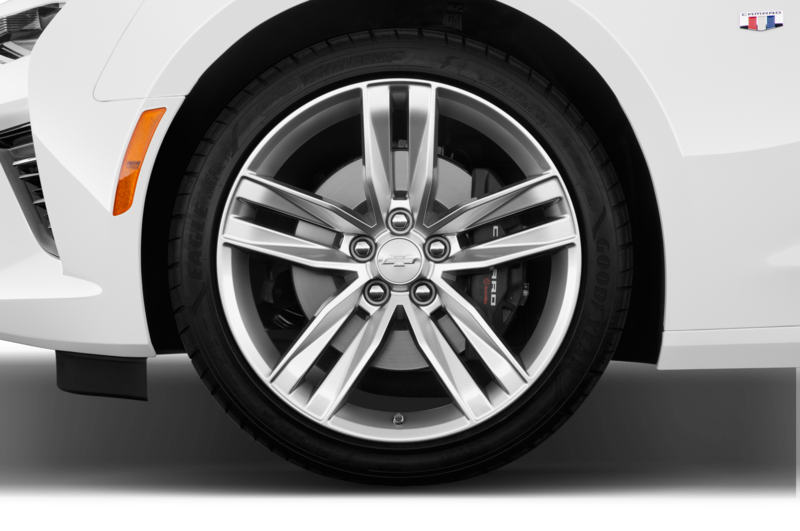 The three-spoke wheel feels great in our fingertips, and the quick steering rack makes the car seem smaller and more agile than you’d expect, given its sizable footprint. 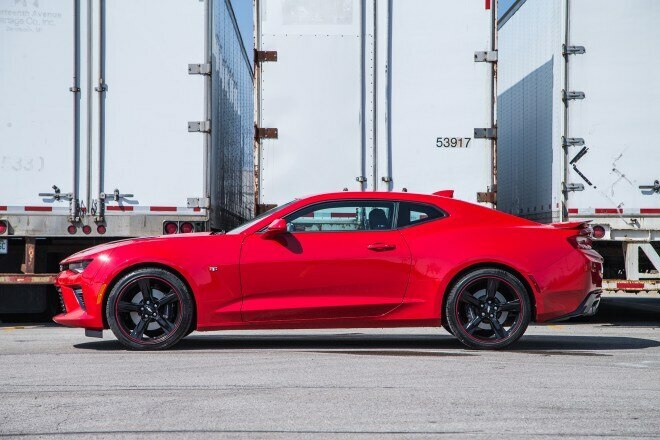 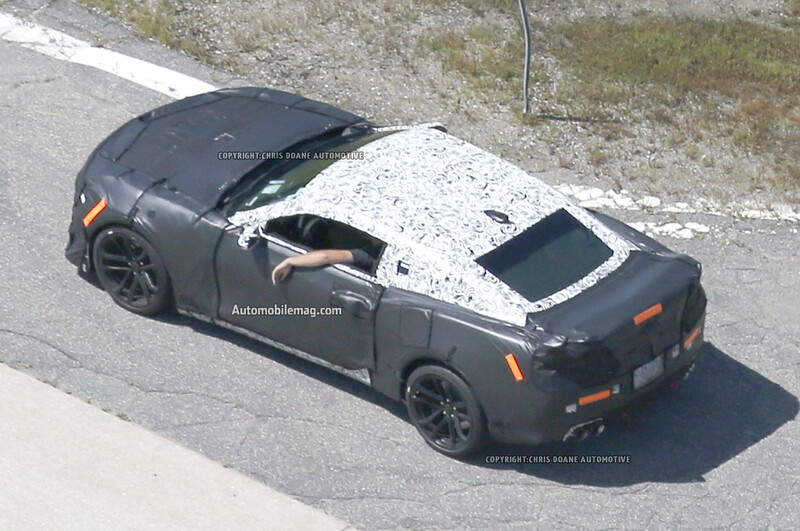 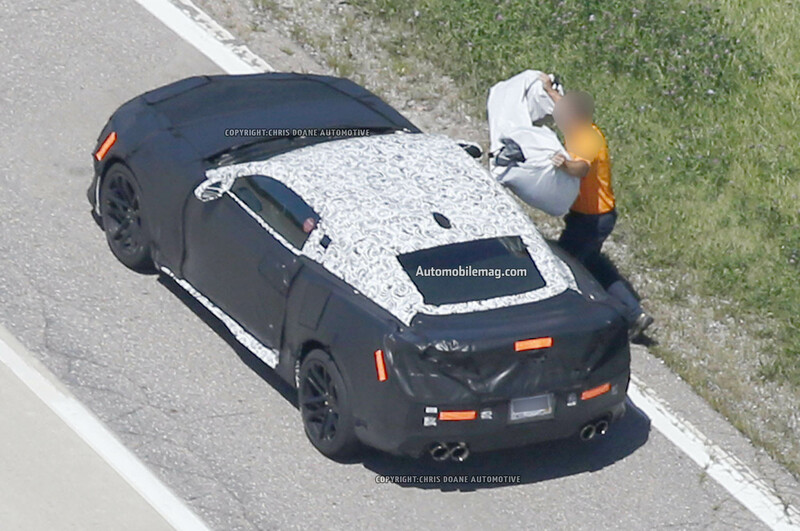 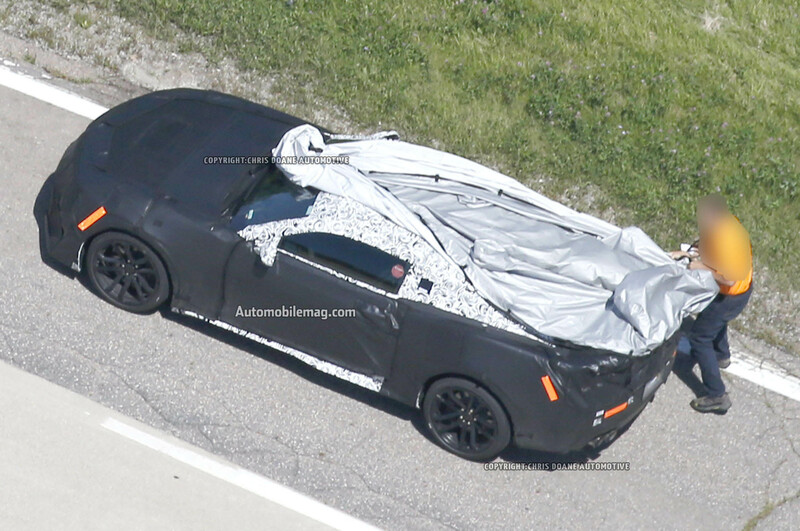 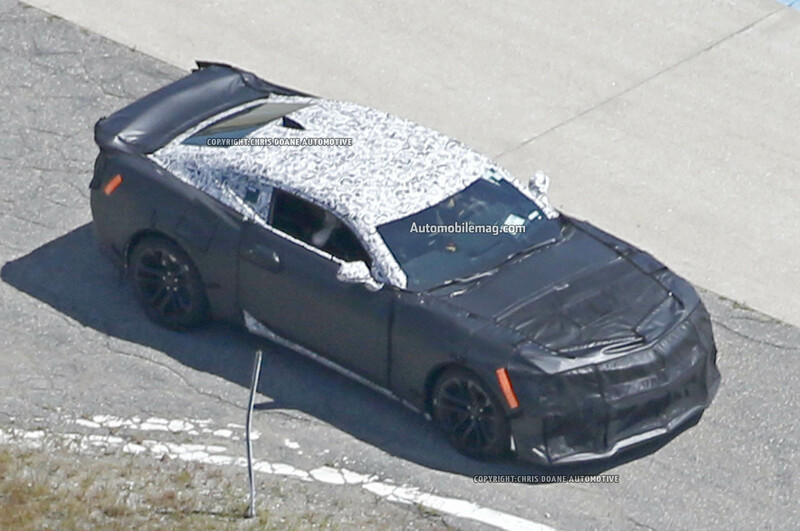 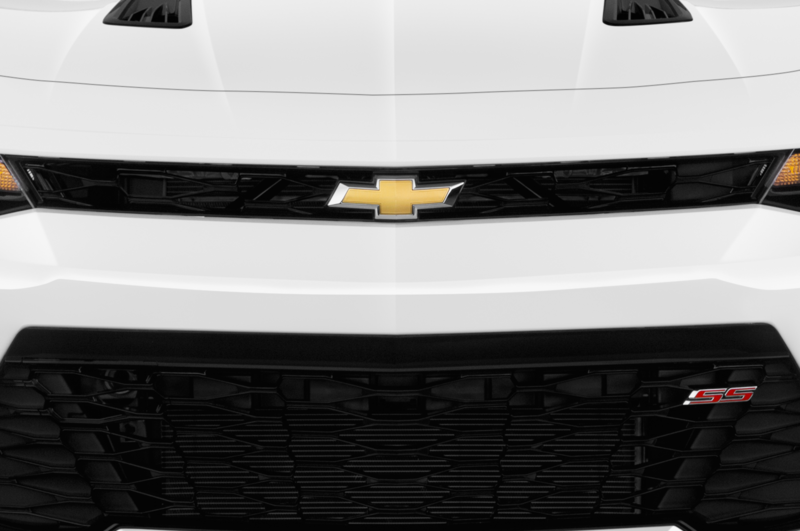 This huge improvement compared to the last Camaro is in large part due to its new suspension, which manages to not only mitigate punishment from potholes, but also curb body pitch and roll even when you throw it like a four-seam fastball into a corner. 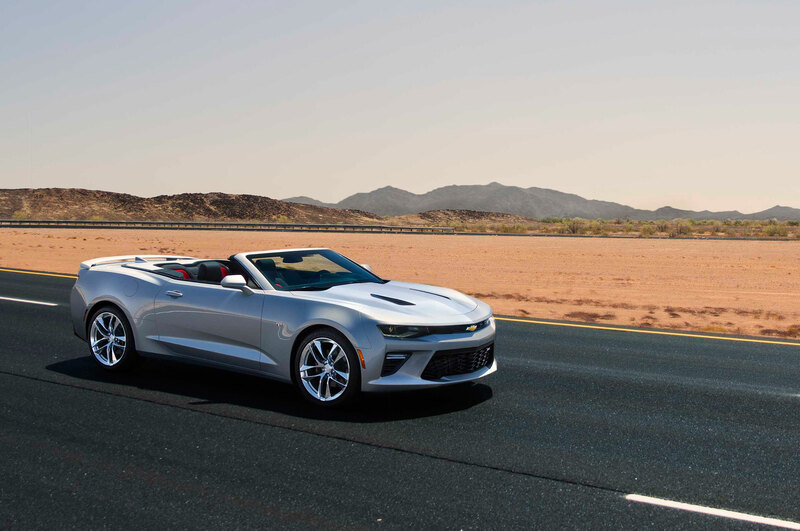 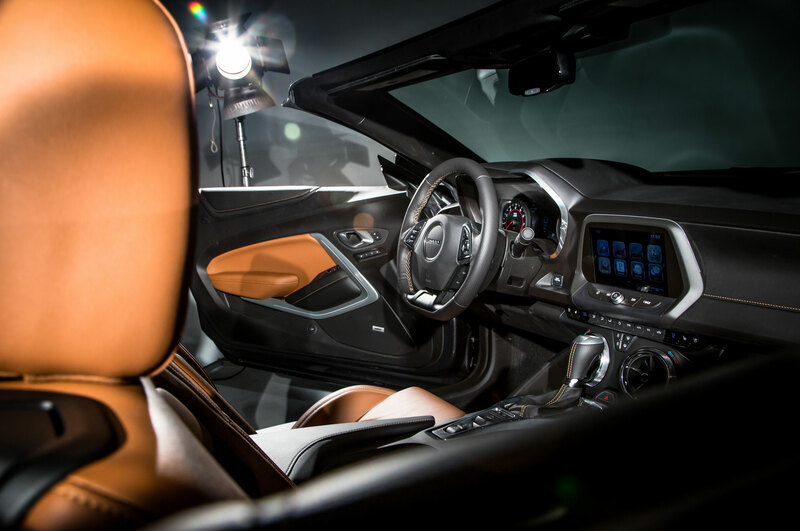 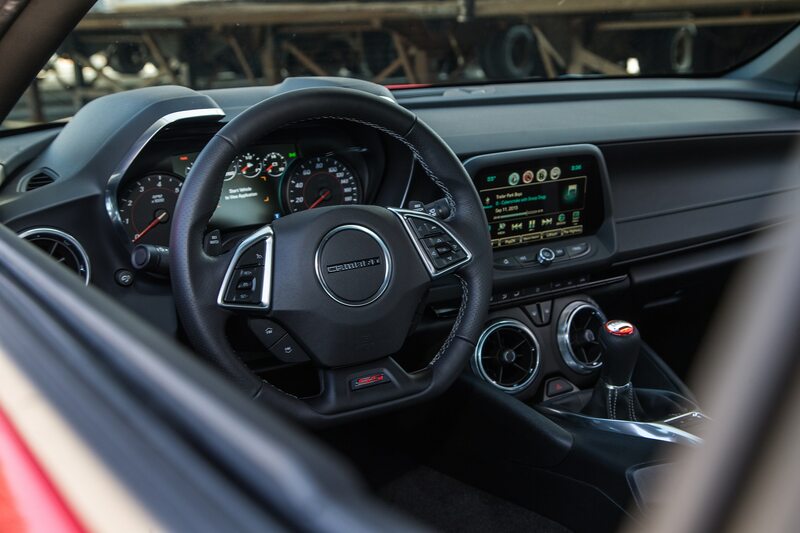 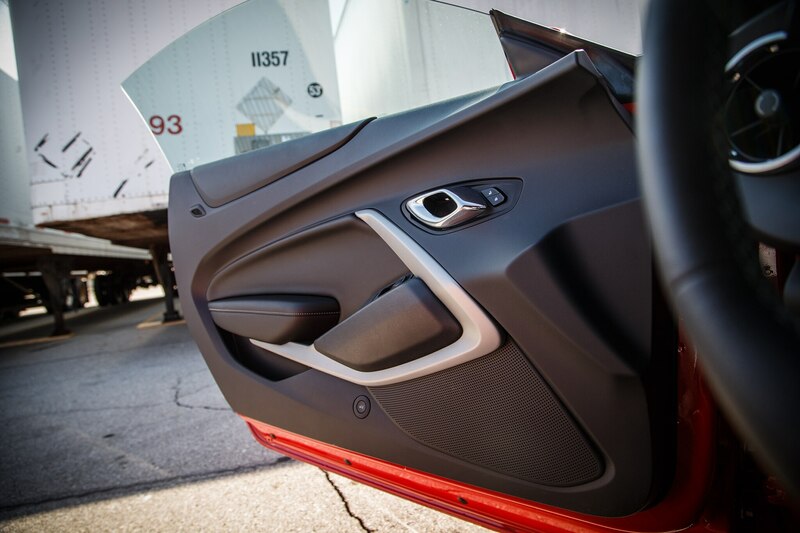 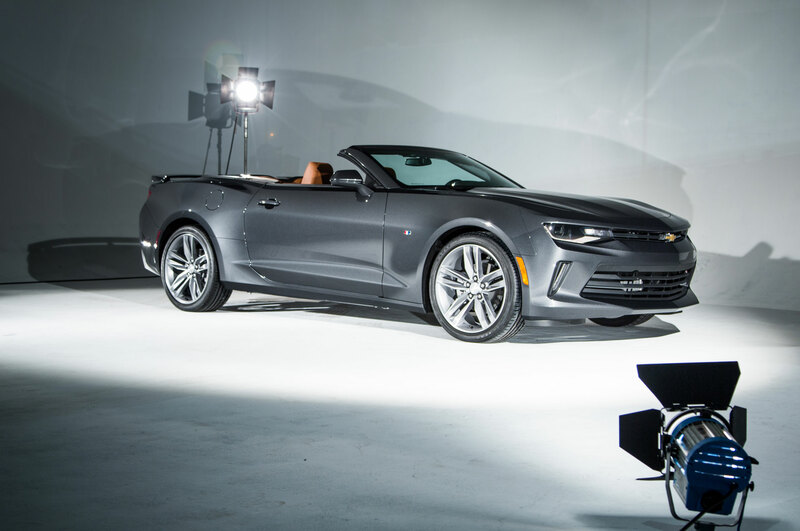 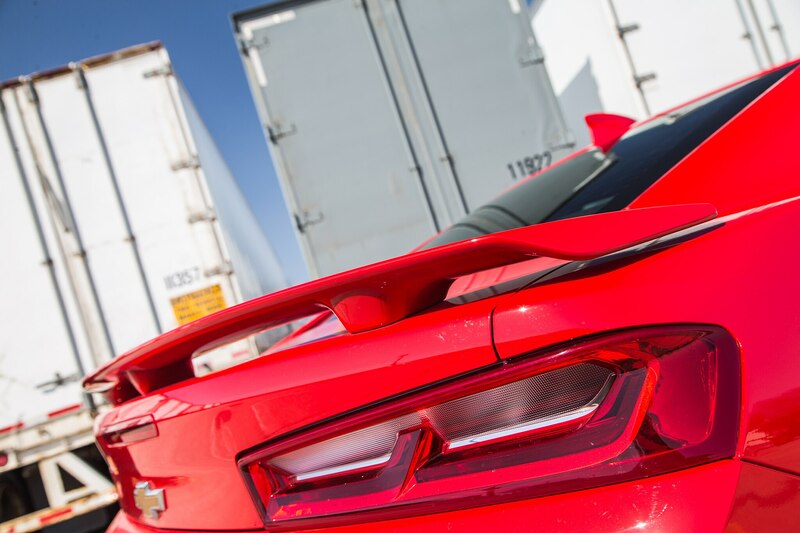 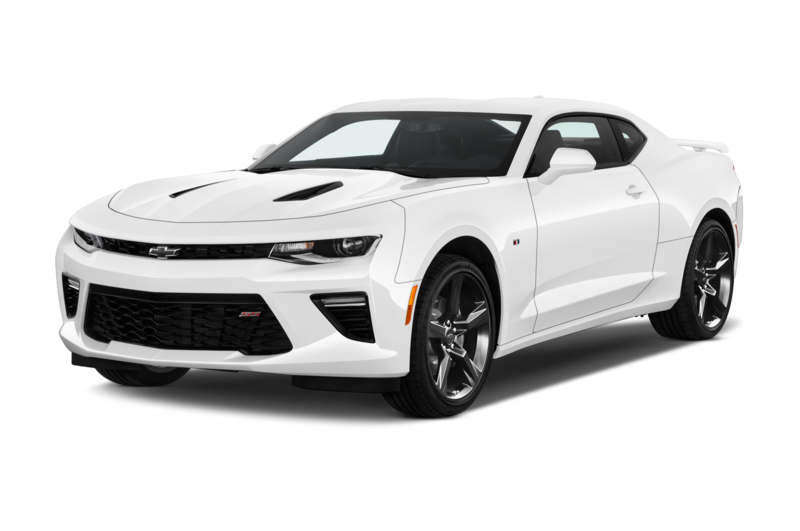 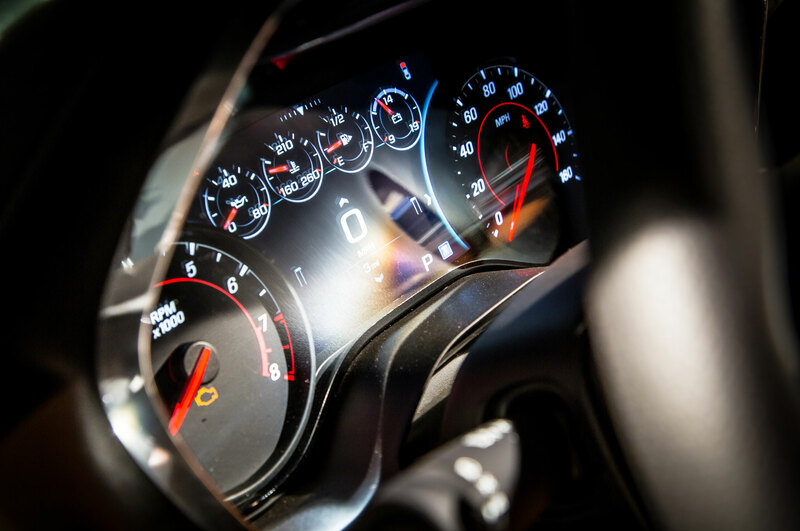 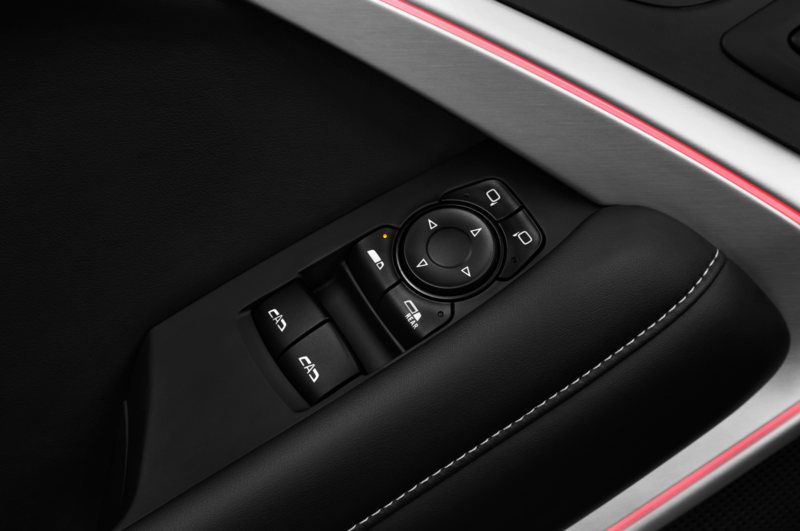 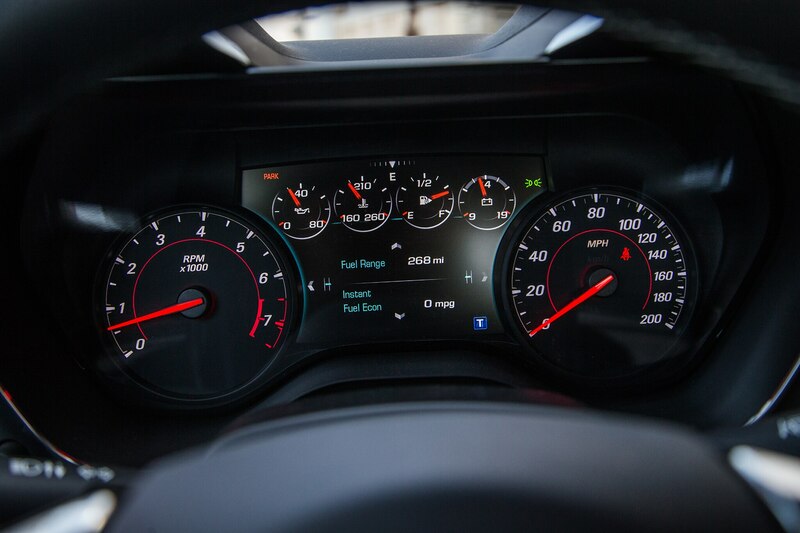 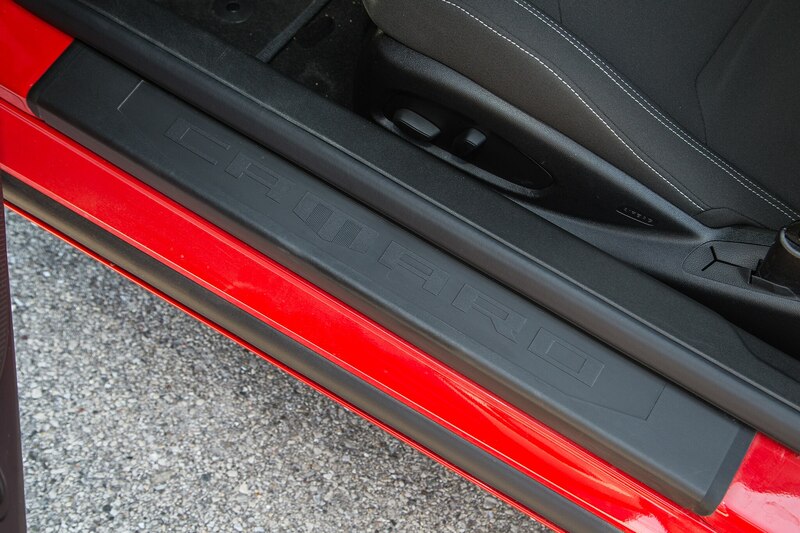 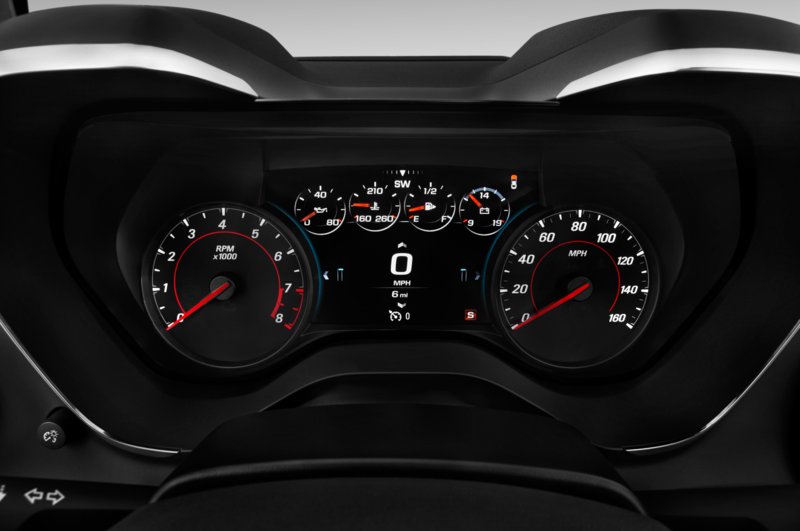 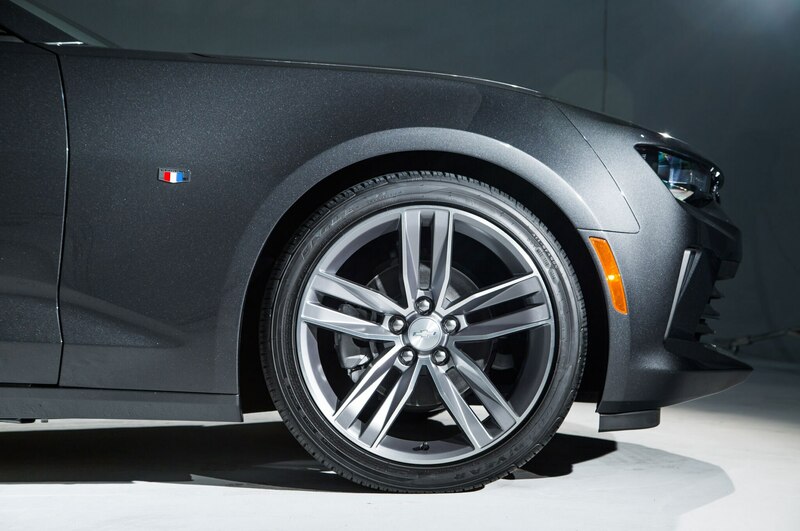 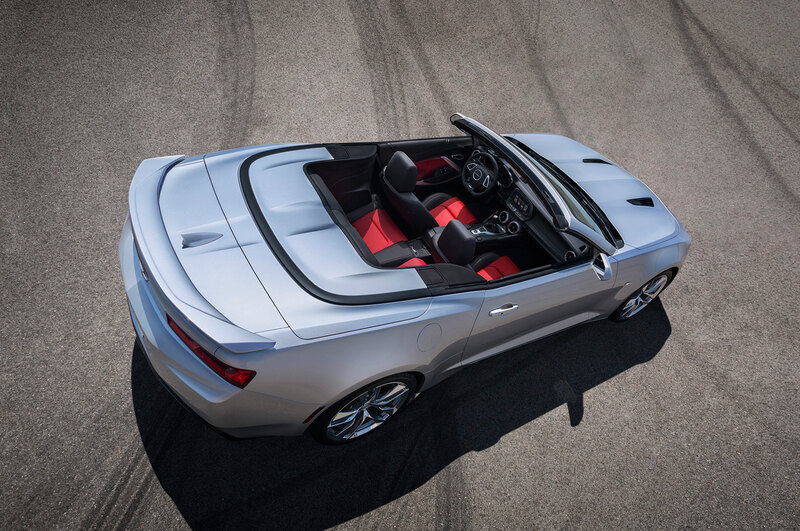 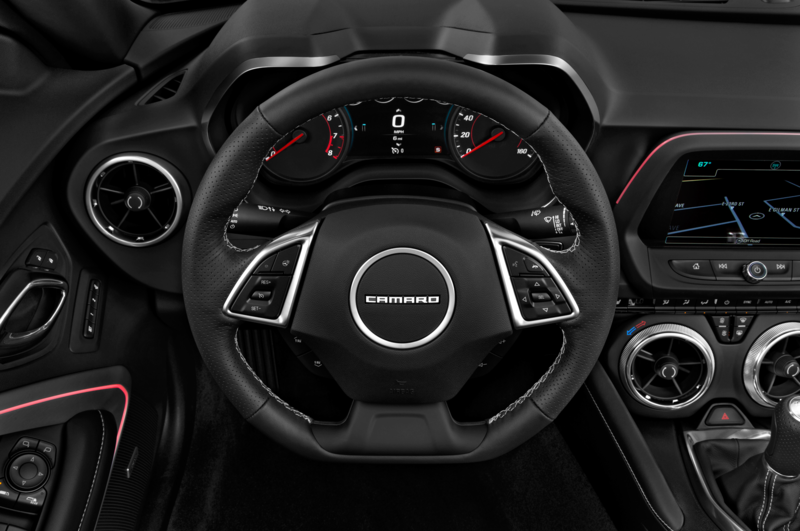 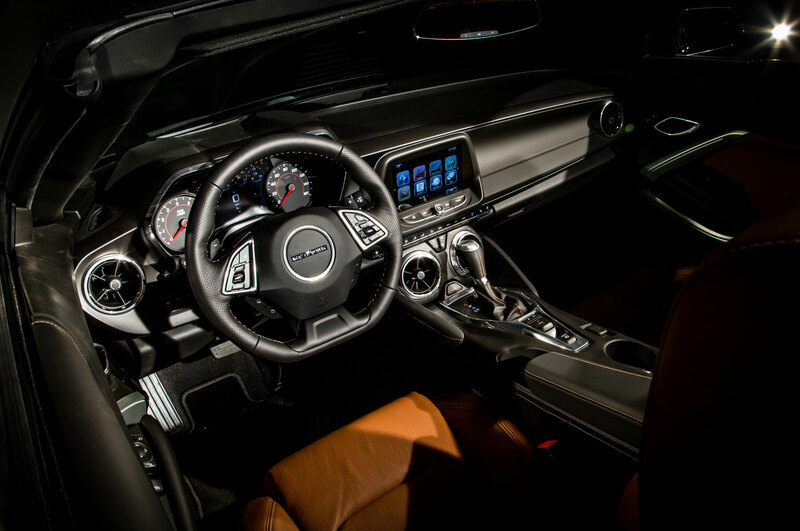 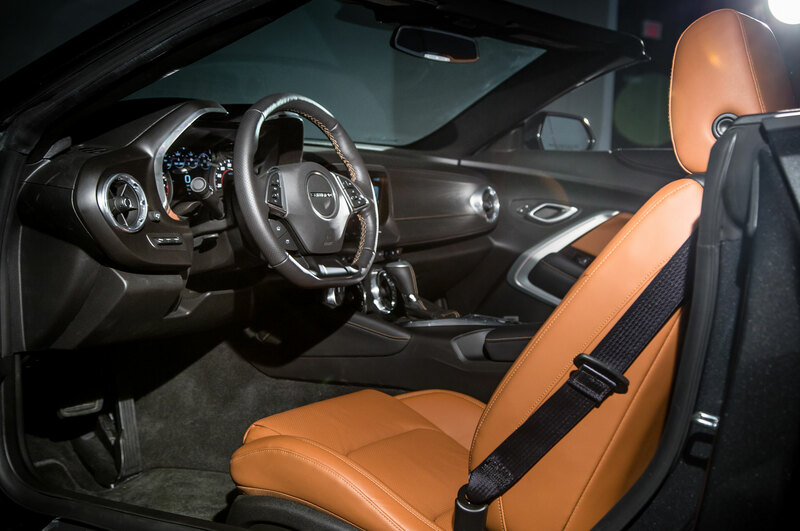 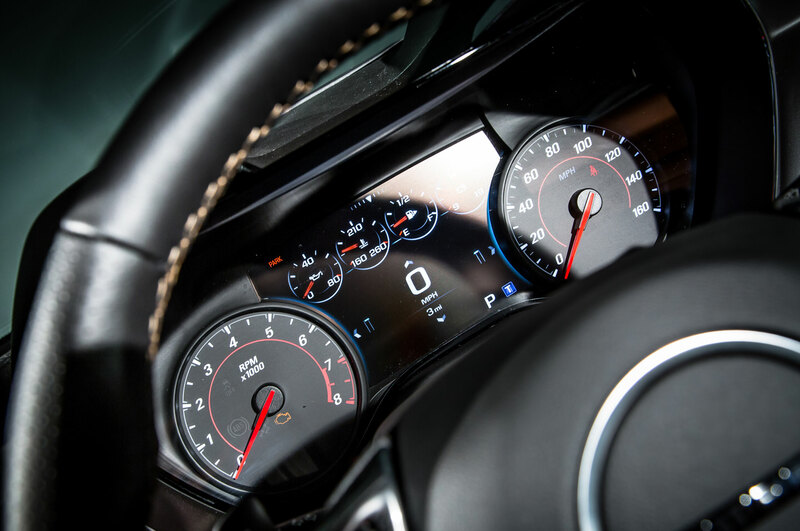 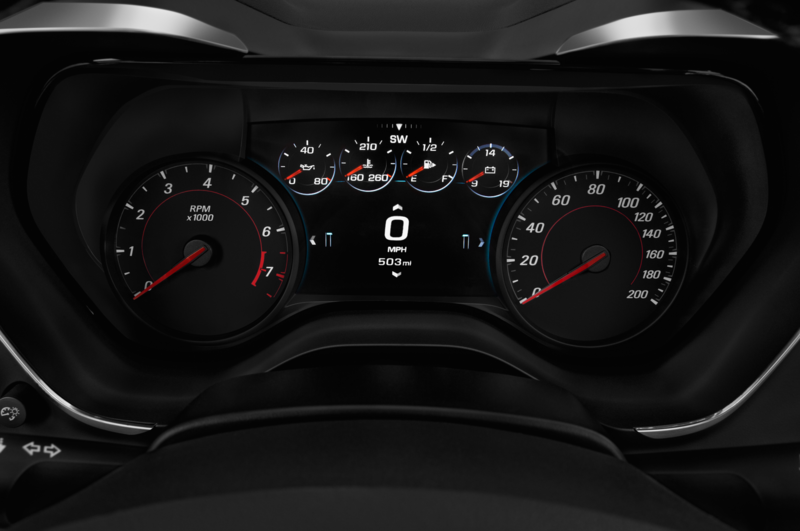 Neither mid-corner bumps nor last-minute changes in throttle application upset the Camaro, while wide, grippy summer tires on 20-inch wheels let you build heroic g-forces (which you can observe using the real-time digital gauge in the instrument cluster). 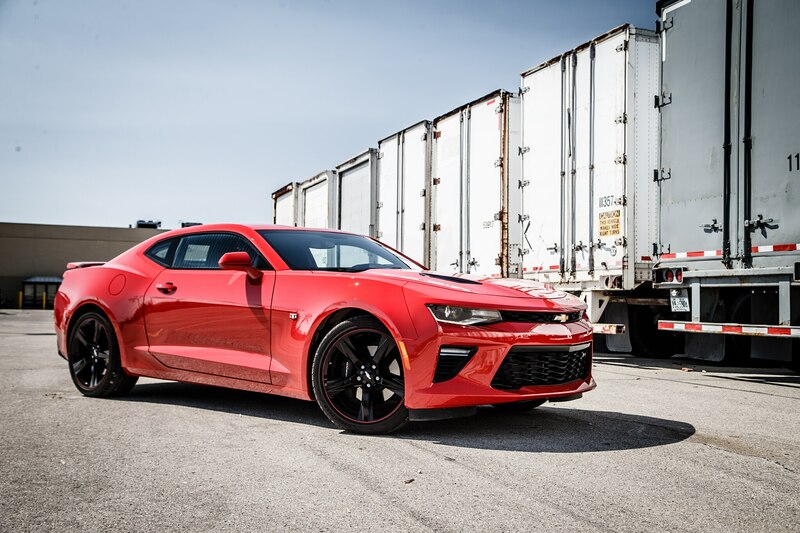 It’s been a long time since the Camaro was a true straight-line-only bruiser, but this 2016 SS is one of the sharpest examples yet. 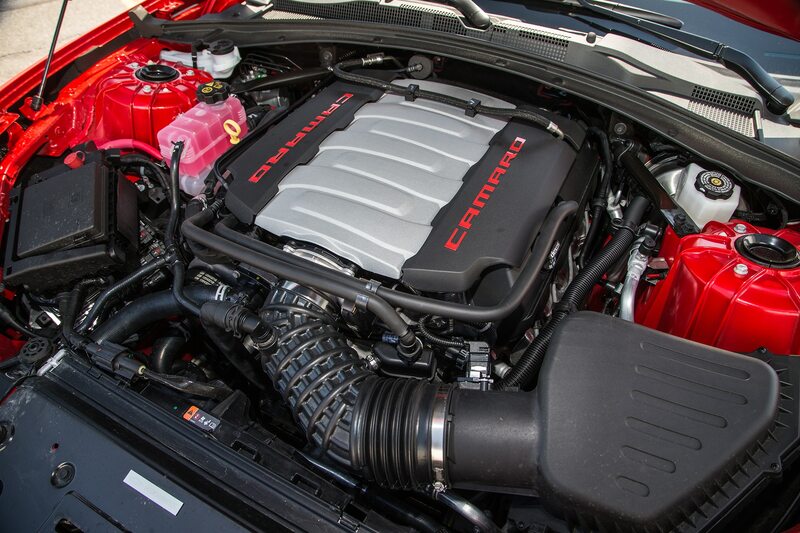 That engine, though, is the ’Maro’s real star. 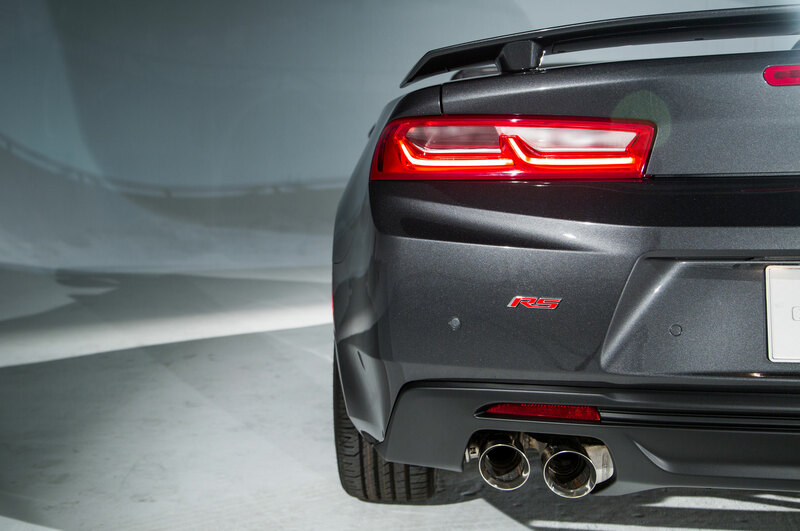 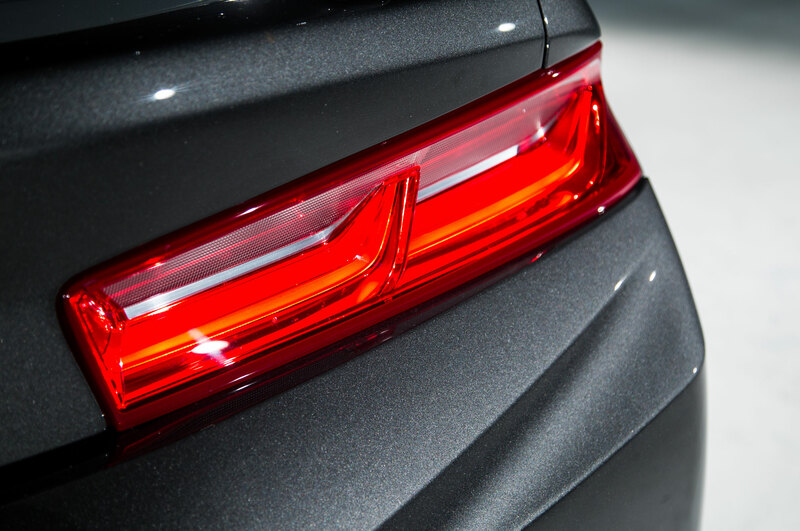 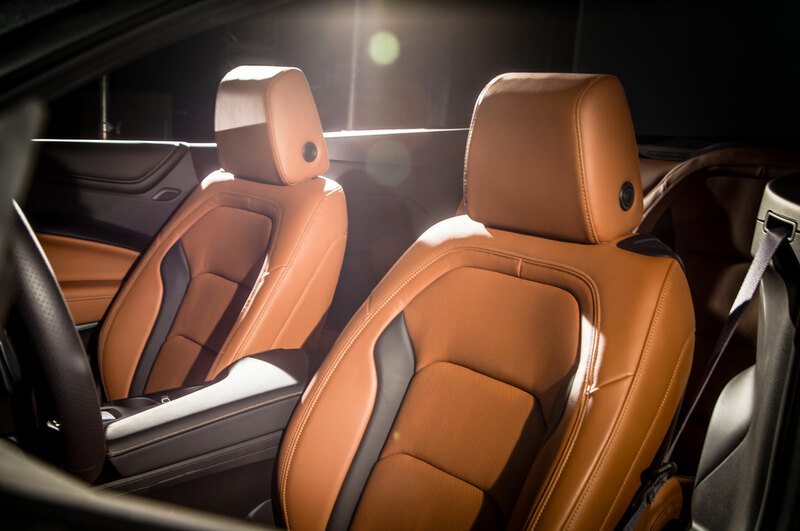 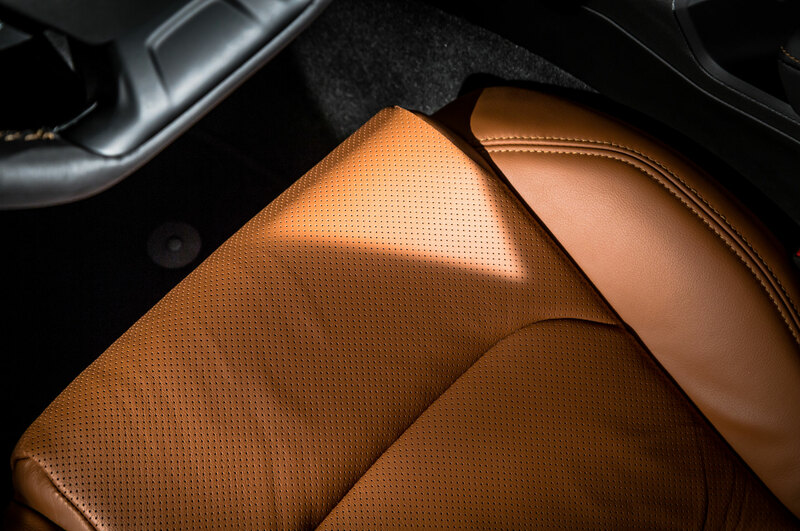 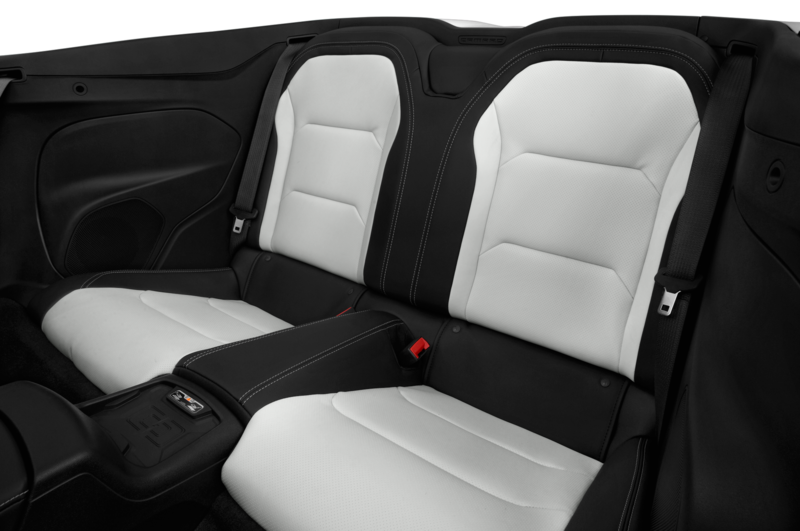 It snarls and crackles without consideration for neighbors, especially with the active exhaust set to Track mode, although you can adjust the exhaust valves to a much-tamer Stealth mode. 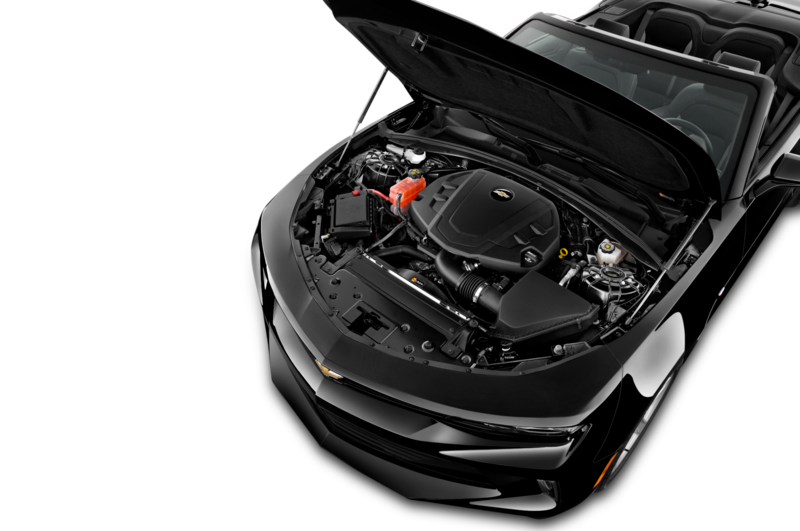 The engine joyously builds torque as soon as you dip into the throttle. 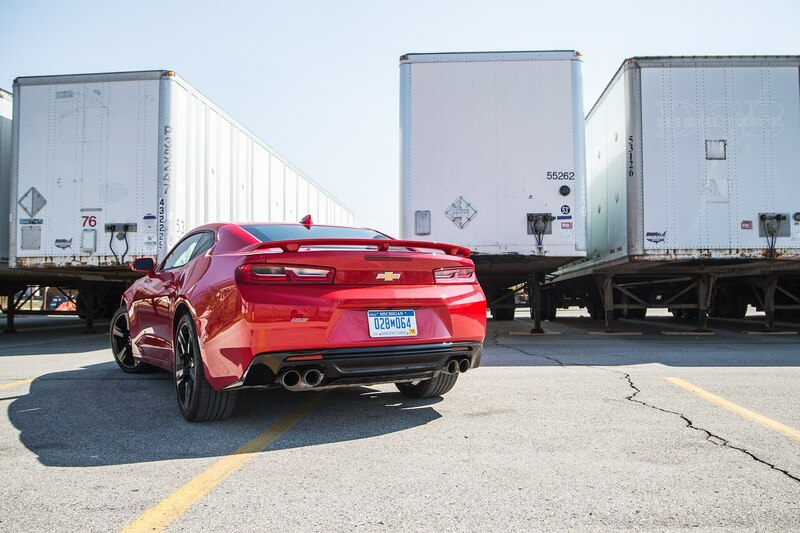 Compared to the Mustang GT’s slightly breathy 5.0-liter V-8, which needs a few revs to really wake up, the Camaro feels stronger and more urgent off the line. 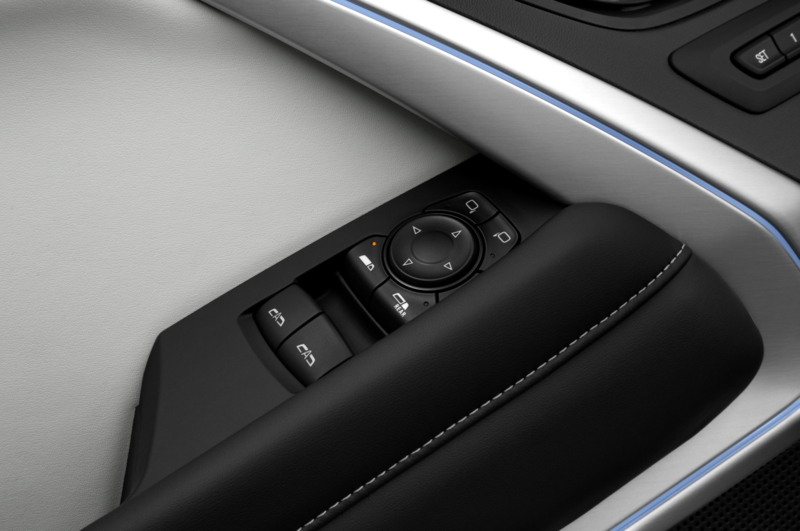 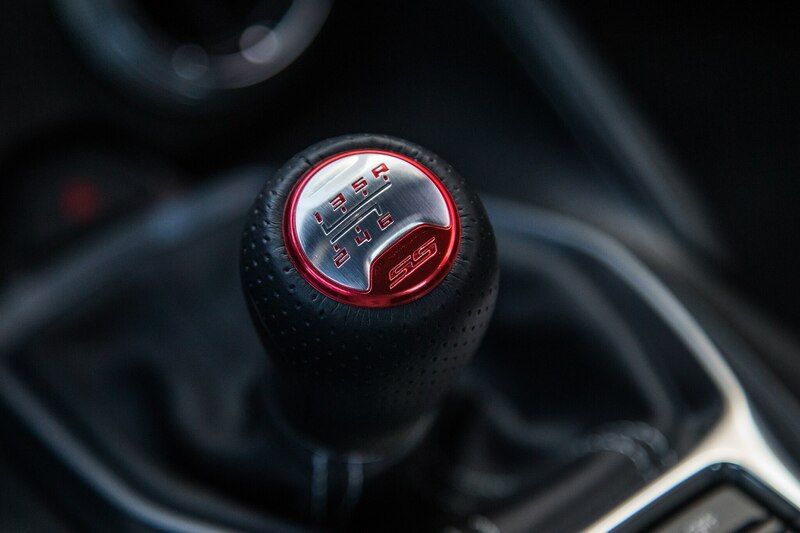 It’s easy to launch hard without any effort, the car’s traction control and limited-slip differential mitigating wheelspin without halting forward progress. 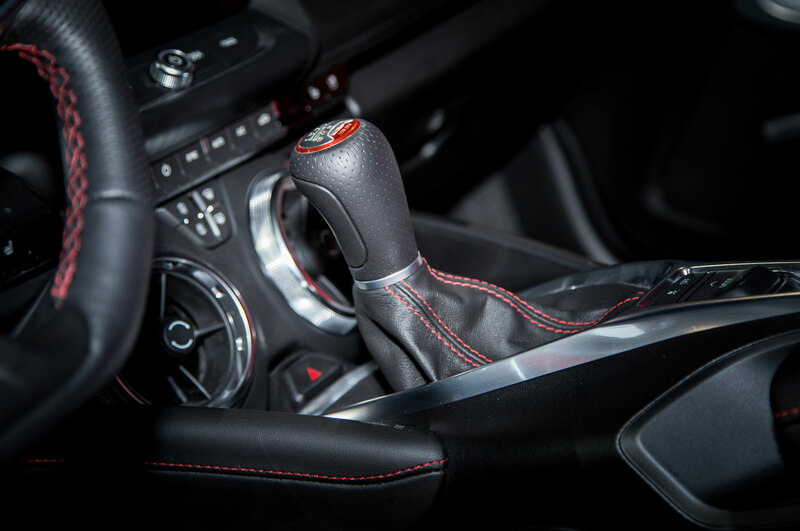 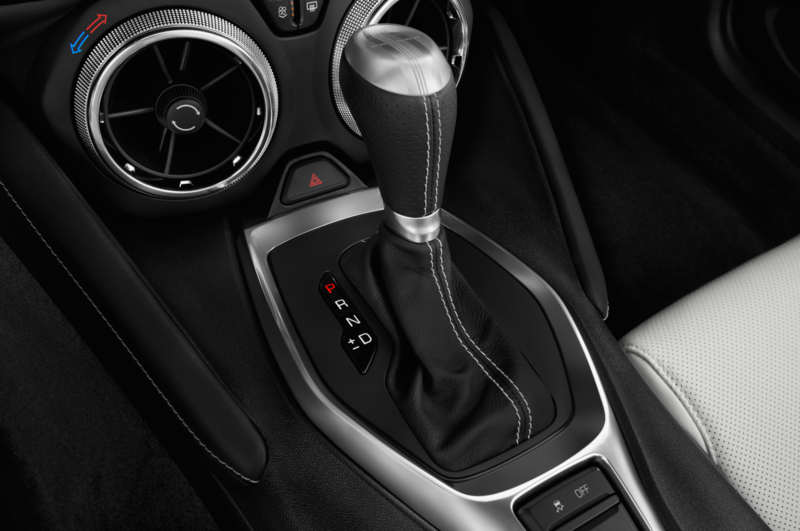 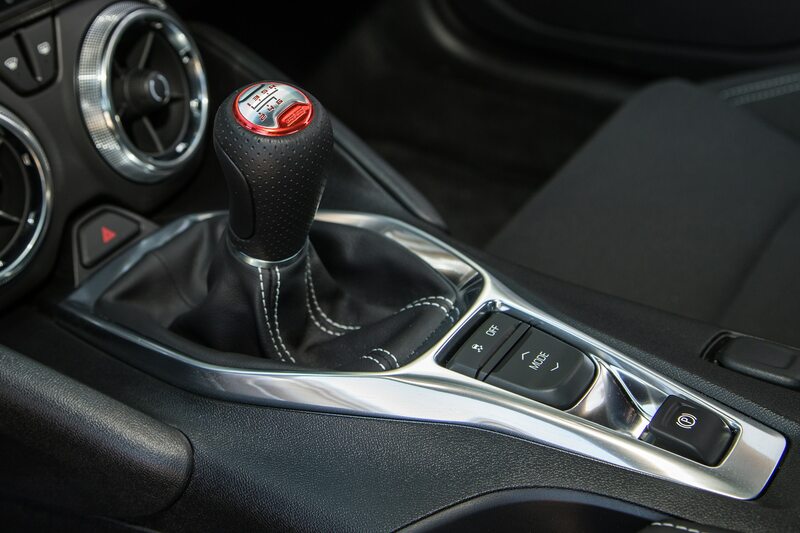 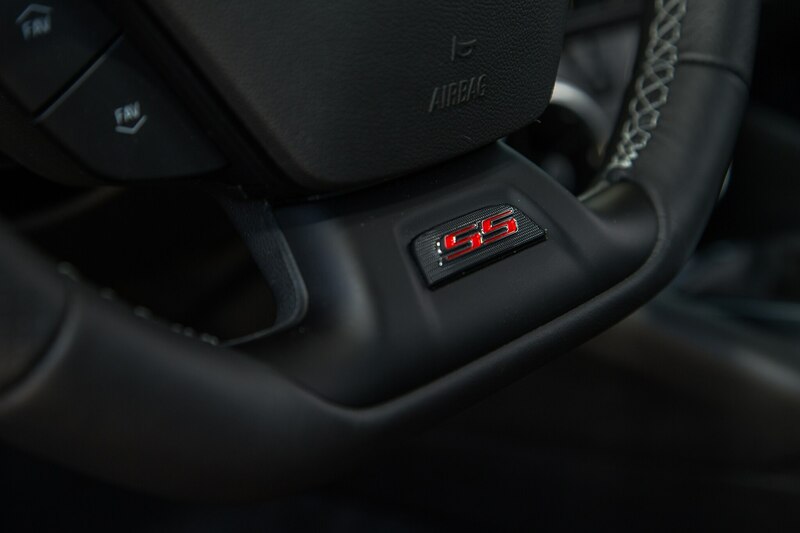 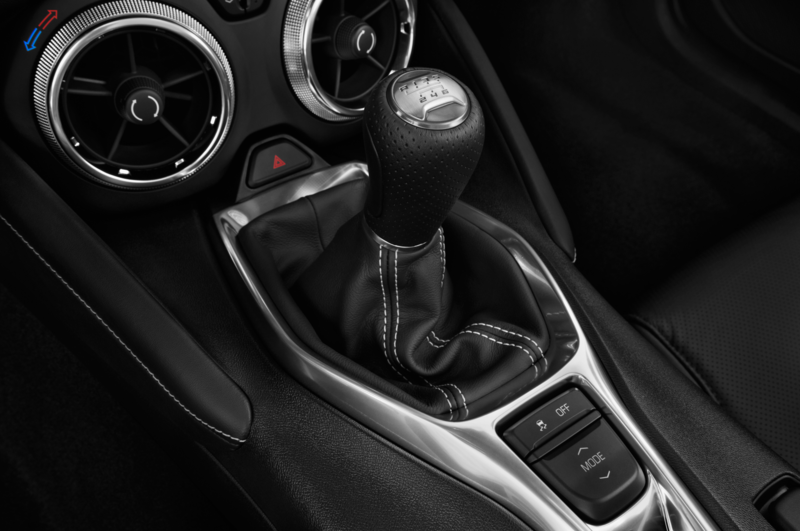 Both the six-speed manual and the clutch are a little rubbery and springy, so you can’t rush upshifts with quite the aggression some muscle cars allow, but never once did we miss a gate or mistime a shift. 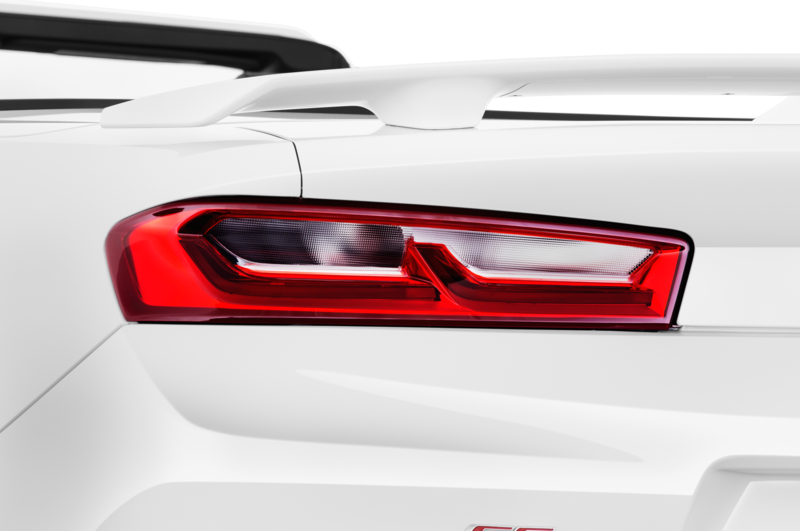 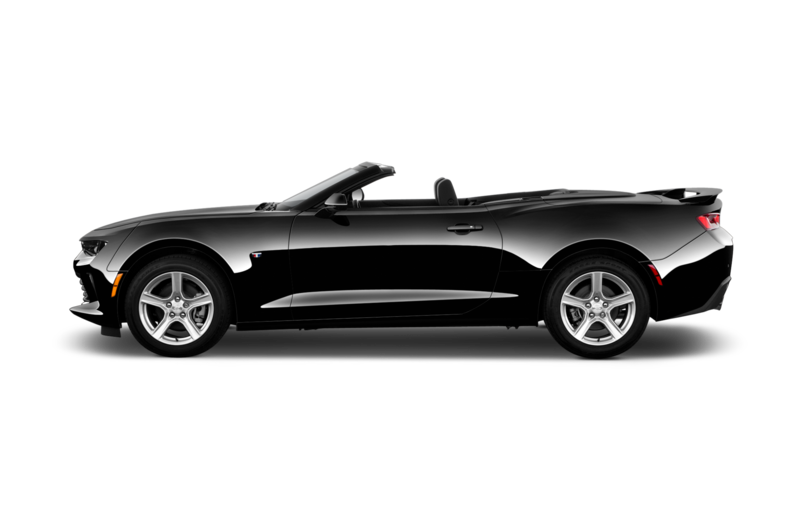 If only such a wonderful sports car weren’t wrapped up inside the Camaro’s form-over-function bodywork. 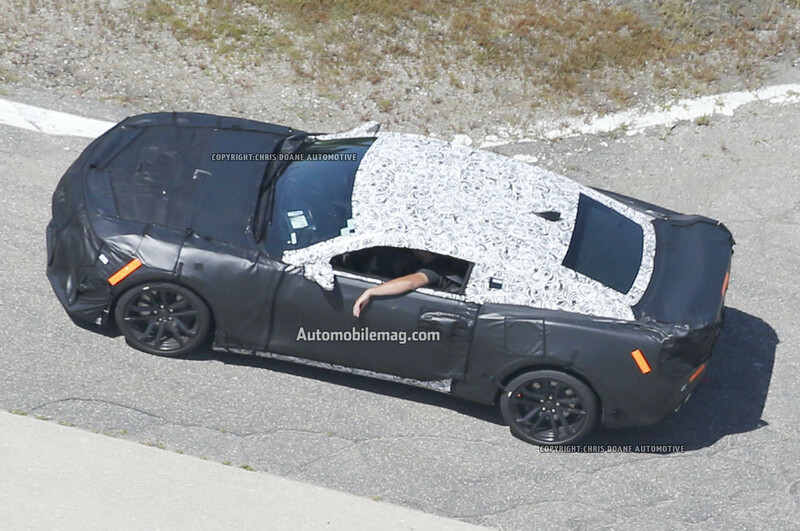 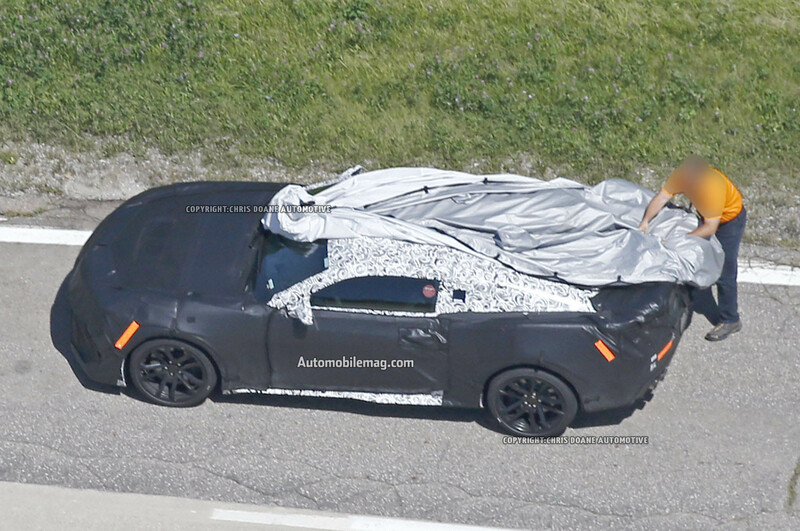 You still can’t see out of this car very well, for instance, because the beltline and cowl are far too high compared to the on-the-floor seating position. 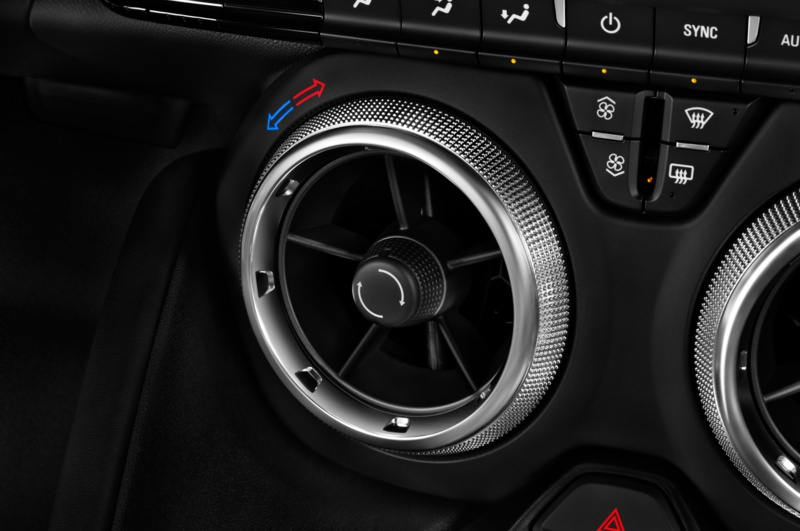 Giant twist-to-adjust climate vents seem like a great styling touch, but the center ones blow air only at occupants’ knees. 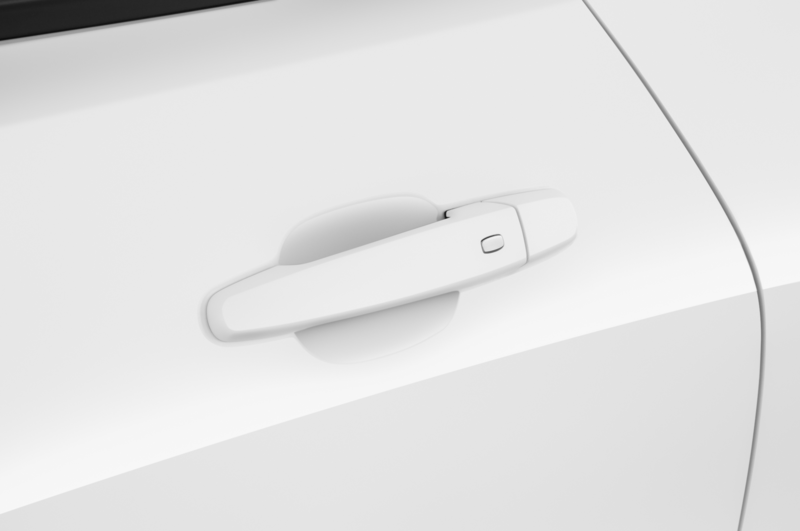 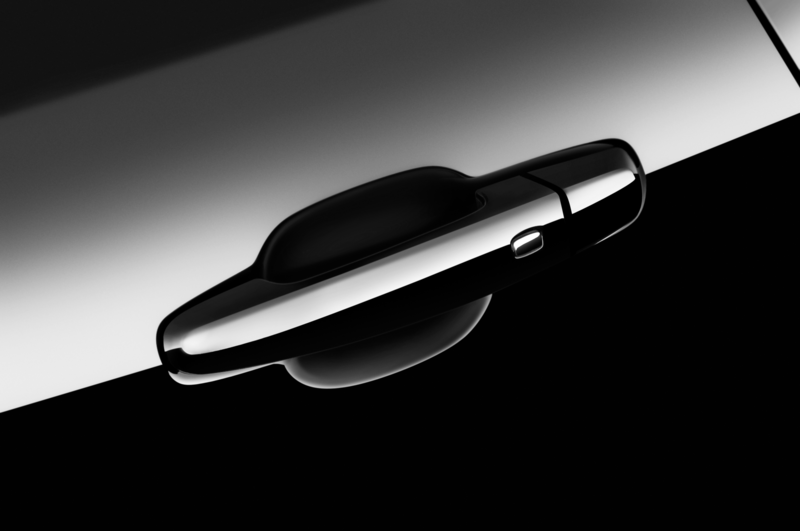 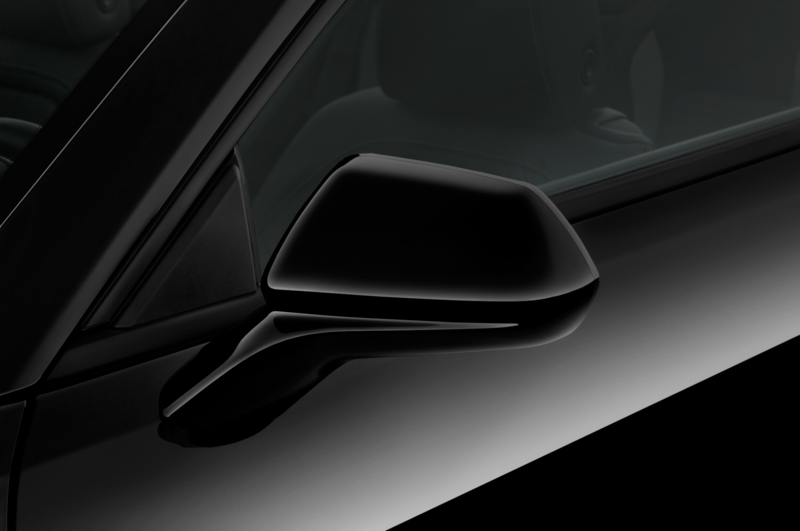 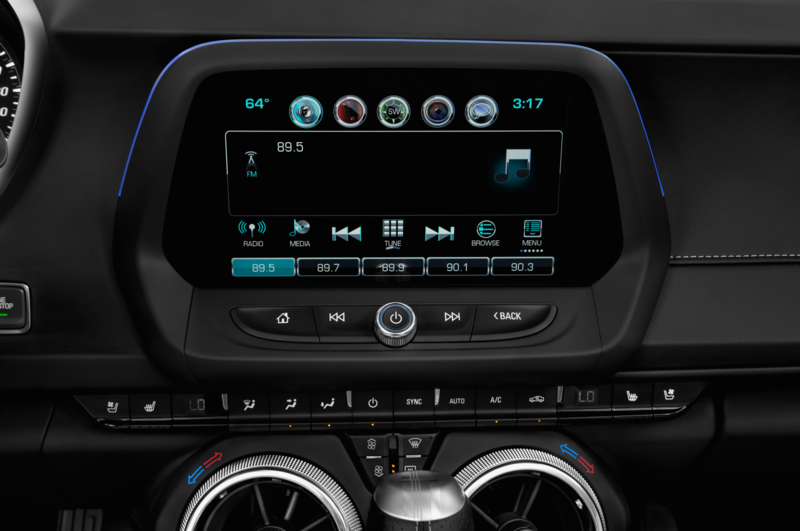 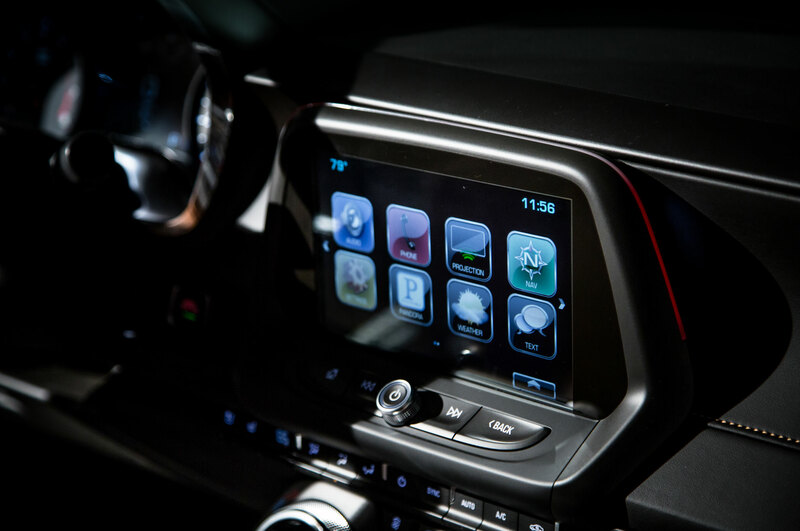 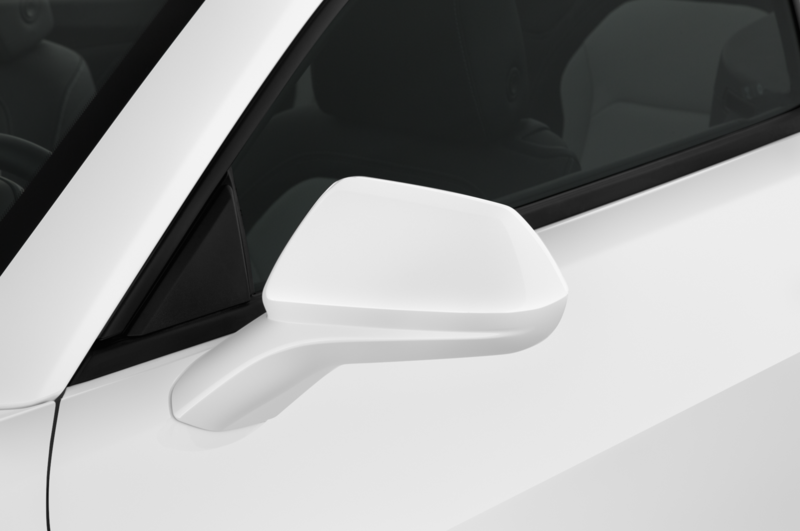 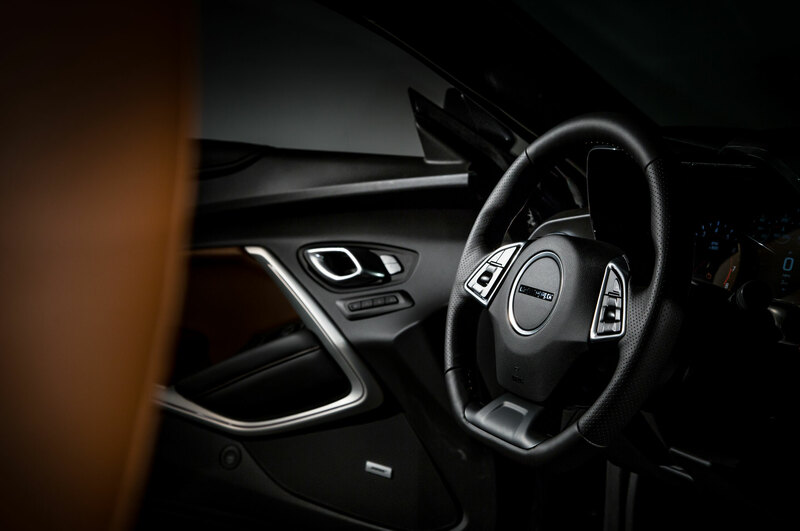 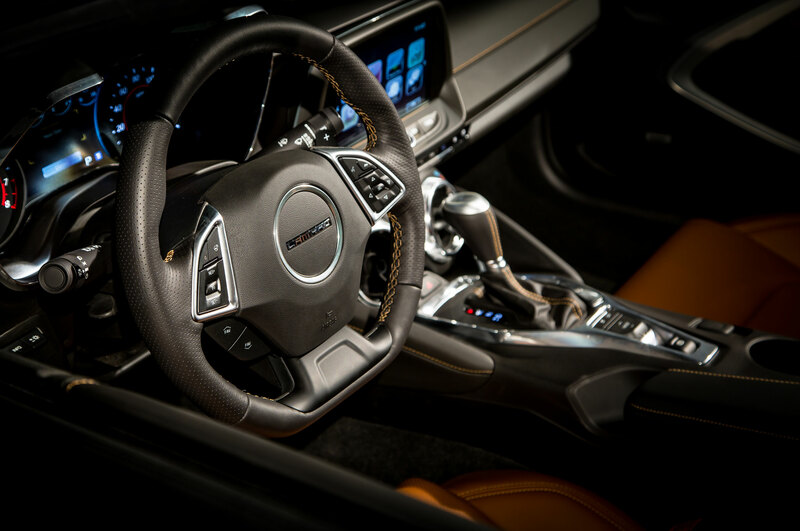 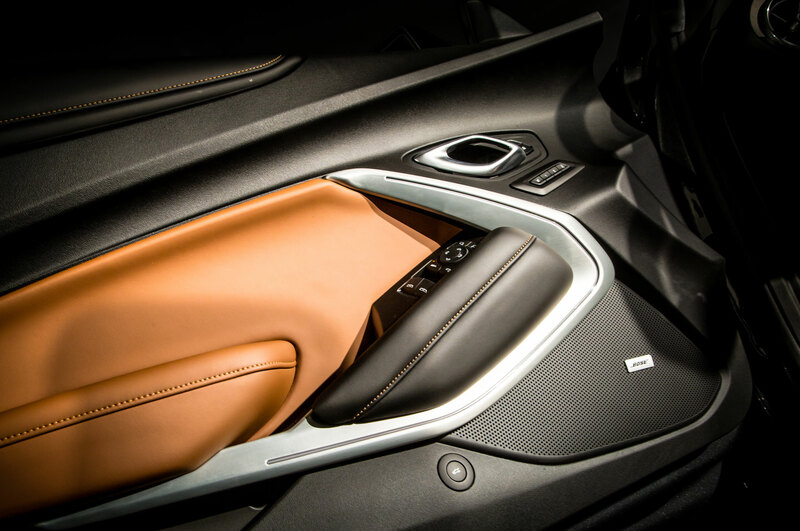 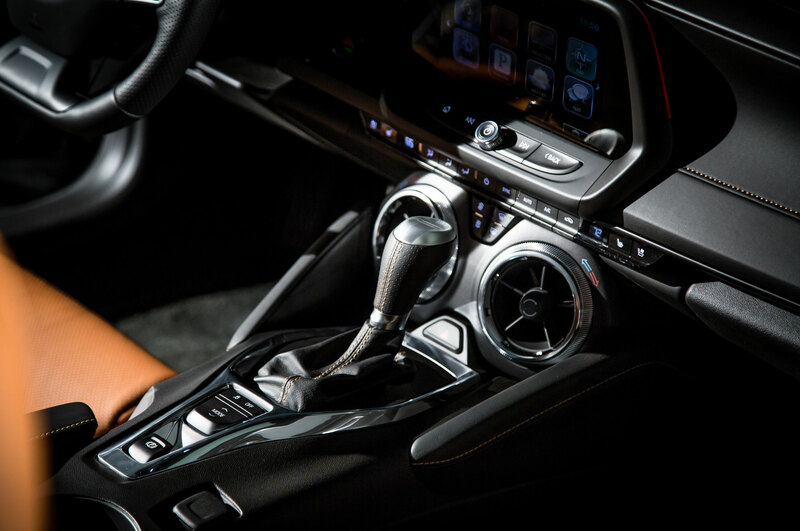 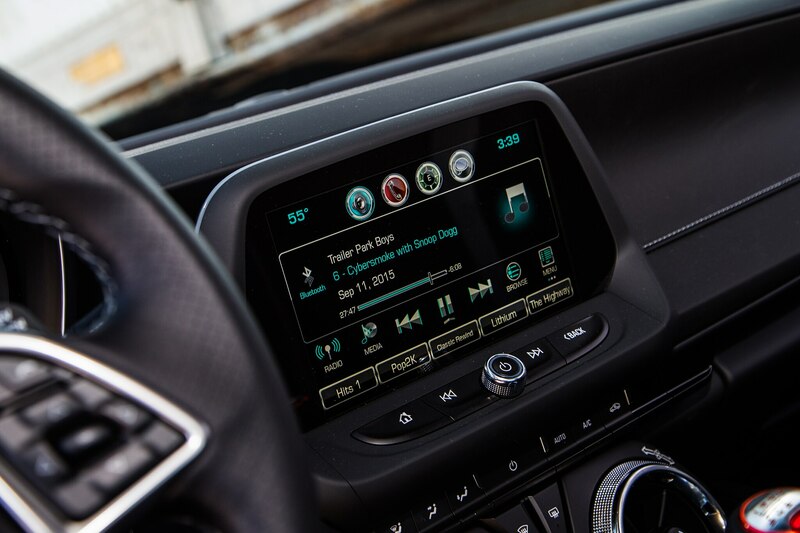 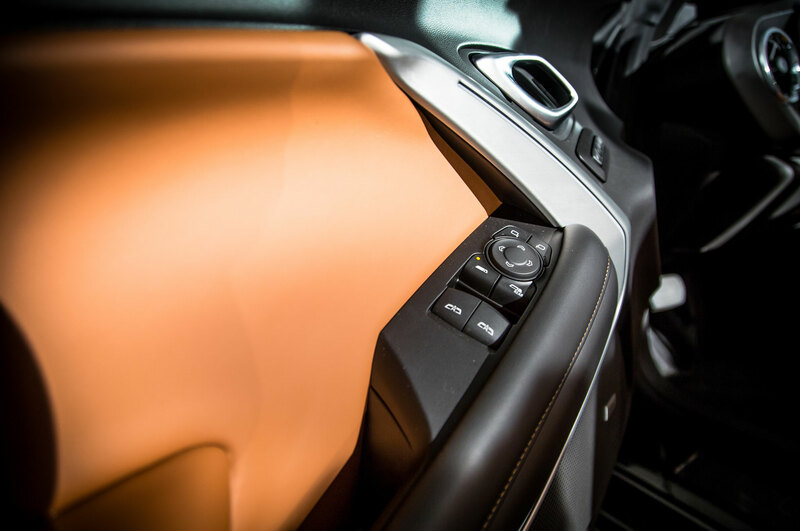 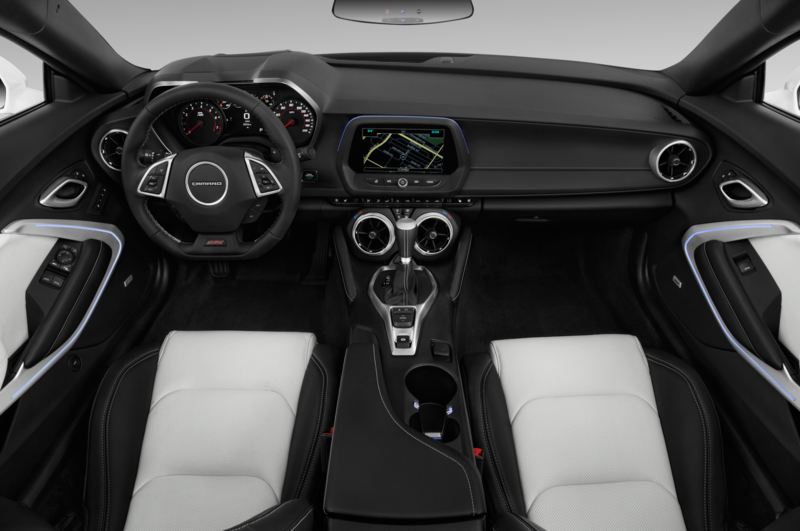 Though its functionality is flawless (especially when using Apple CarPlay or Android Auto), it’s really perturbing that the touchscreen is angled down, away from the driver’s view, to prevent glare. 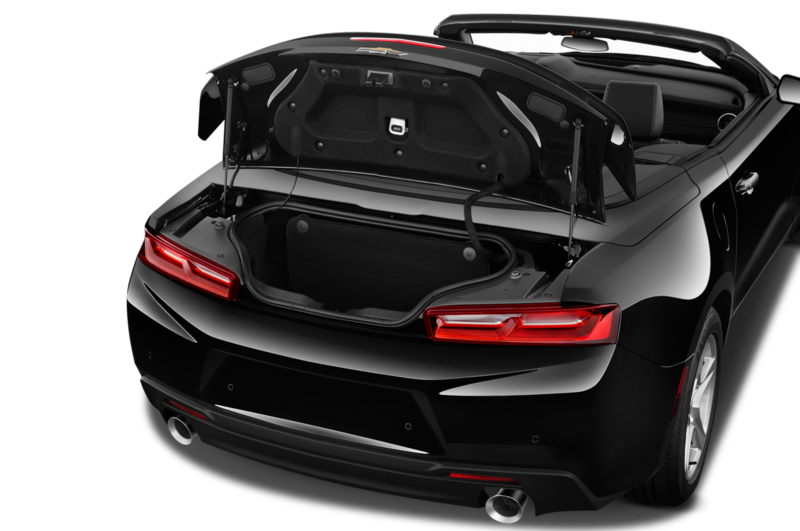 And out back, a tiny trunk aperture makes it near impossible to, say, load a bicycle even with the back seats folded, a feat we managed without issue in our Four Seasons Ford Mustang. 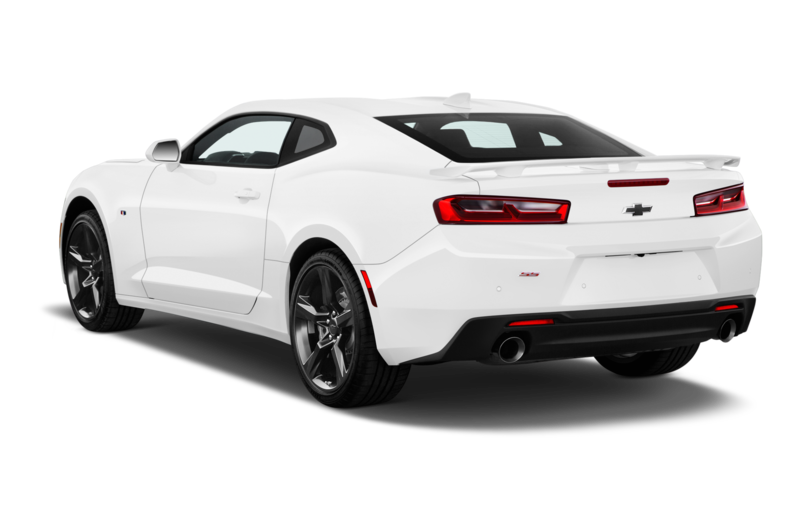 Still, all those concerns fade away each time we get behind the wheel of the Camaro and open the taps. 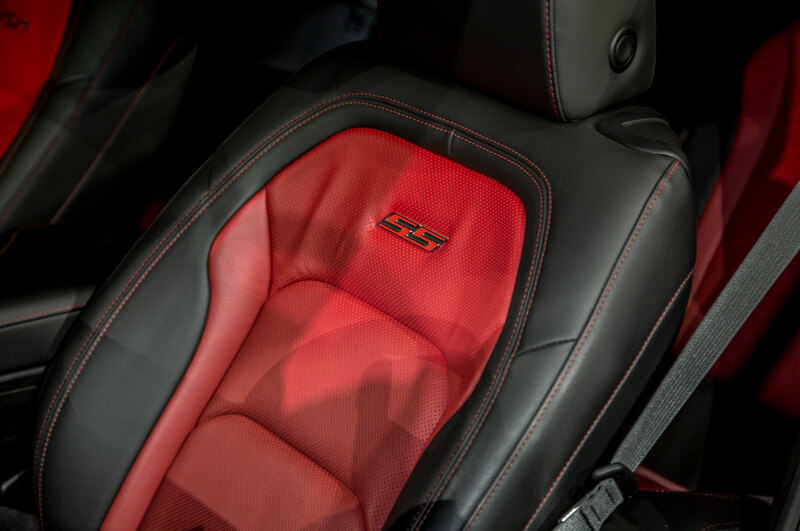 The lighter, lither 2016 Camaro is a bona-fide sports car that had us taking the long way home just to find another set of corners. 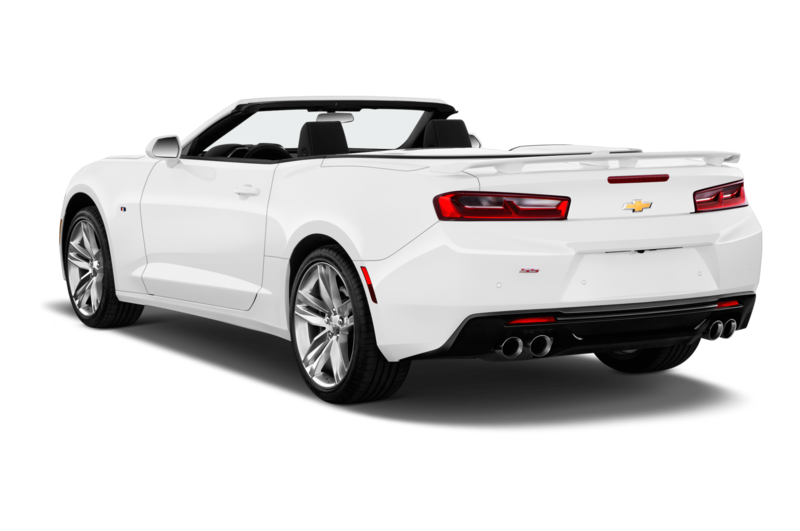 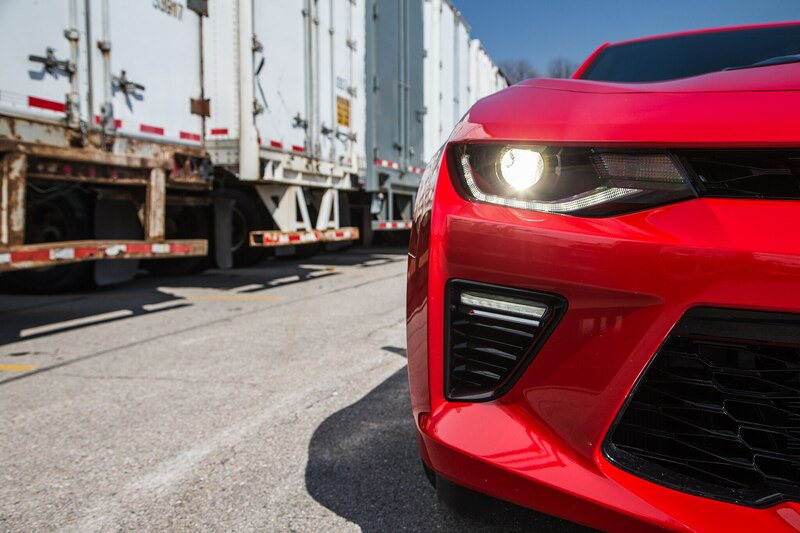 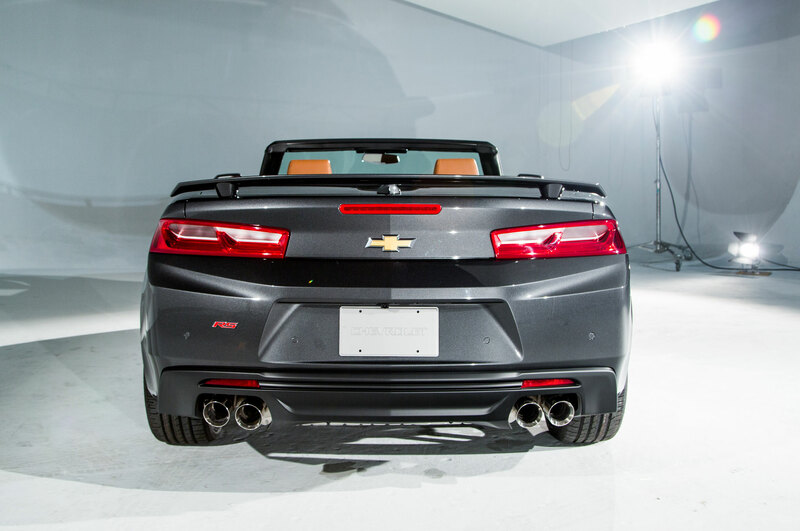 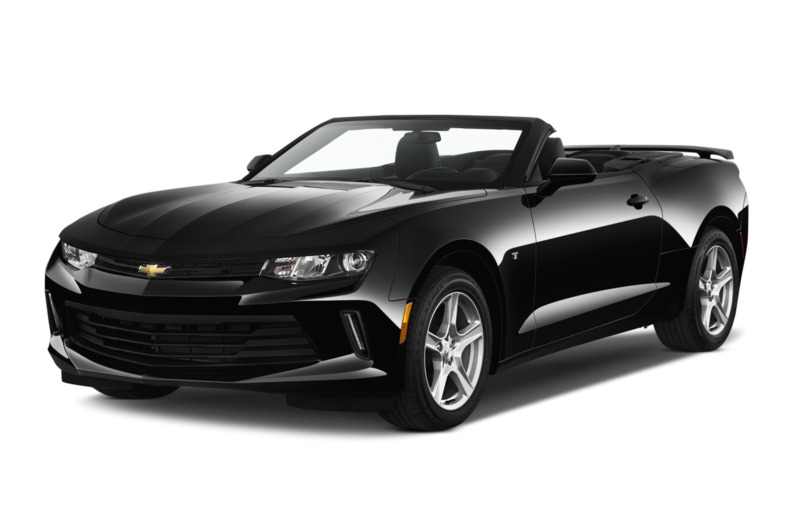 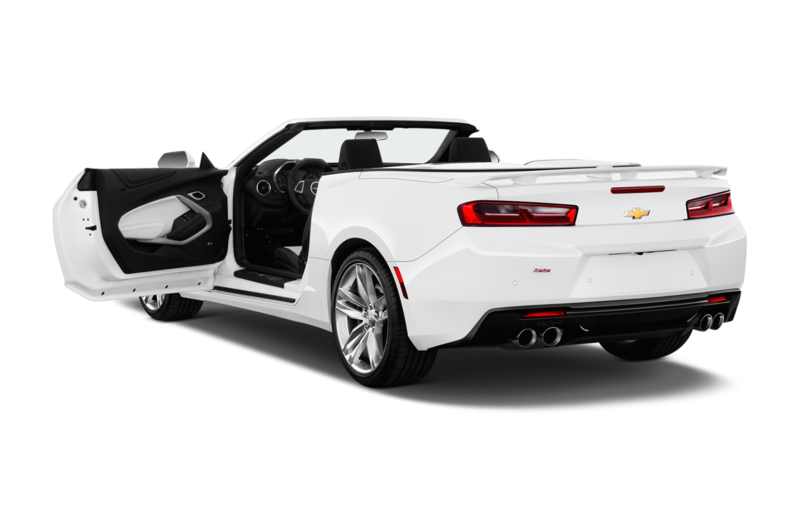 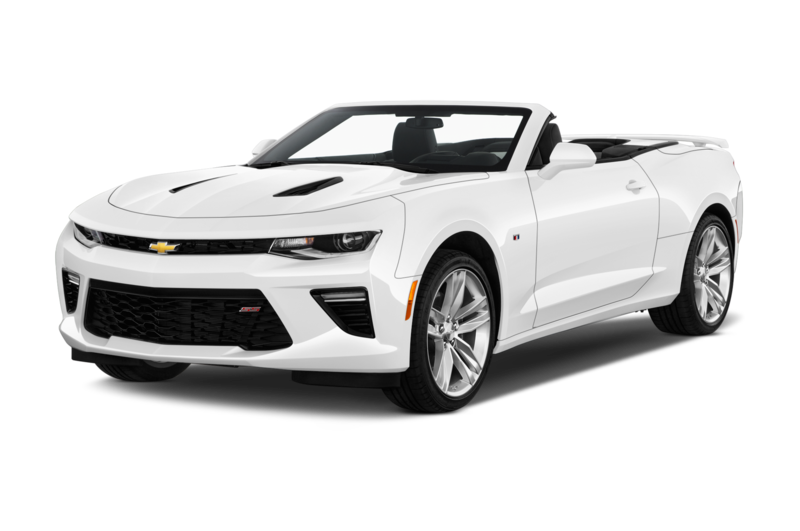 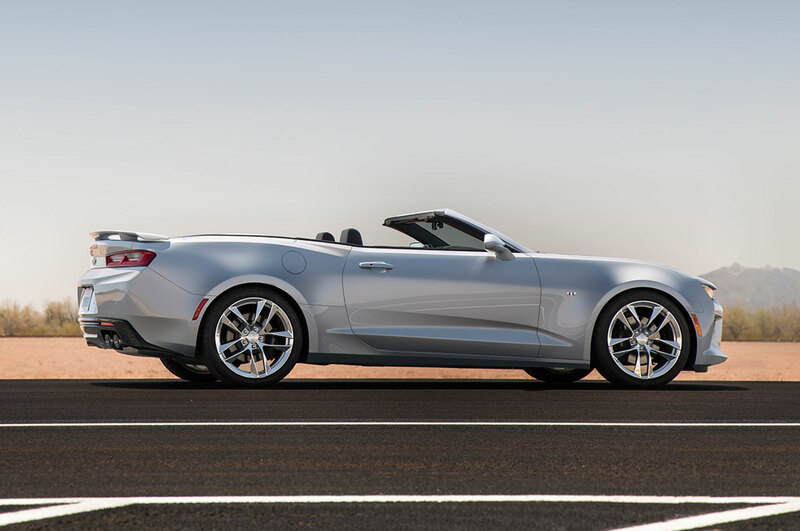 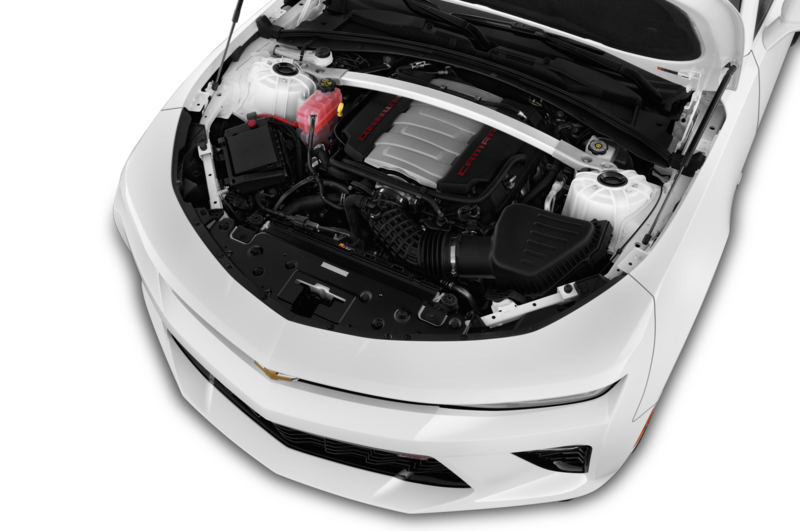 From its devastatingly powerful engine to its communicative steering to its remarkably nimble handling, there’s nothing to fault with the way the sixth-gen Camaro SS drives. 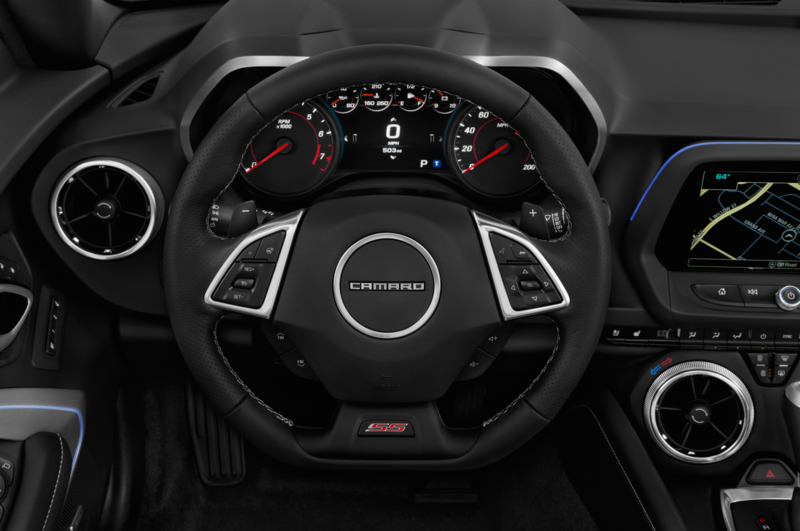 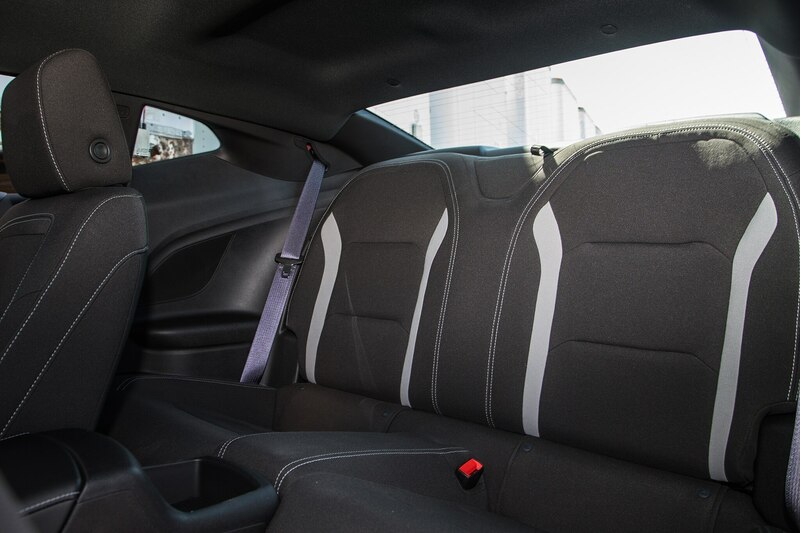 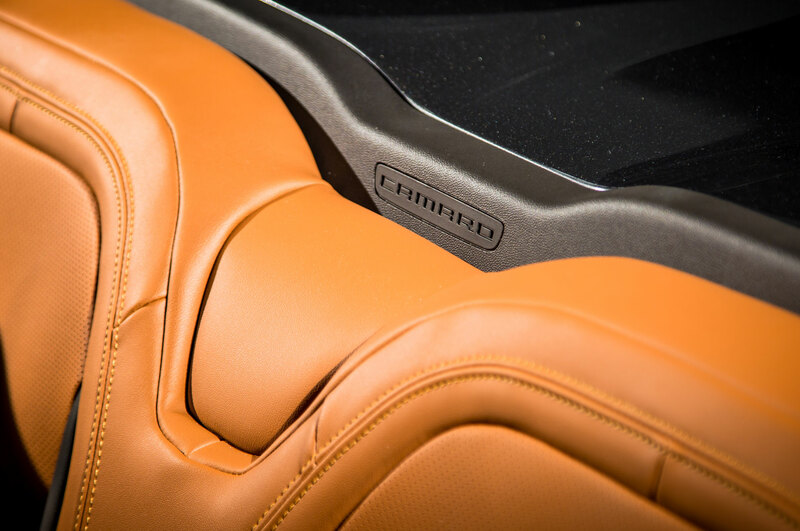 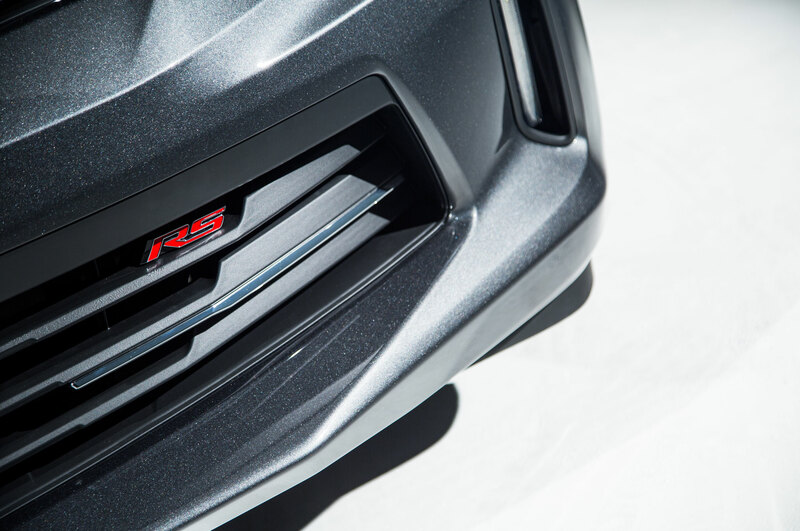 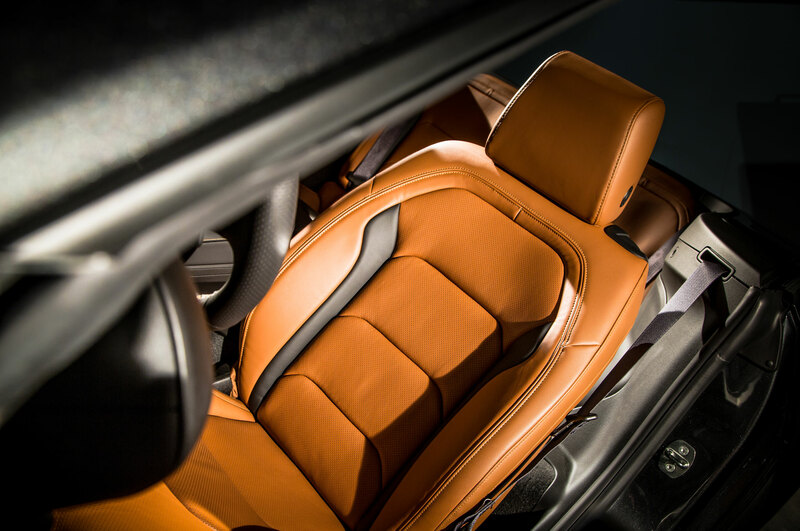 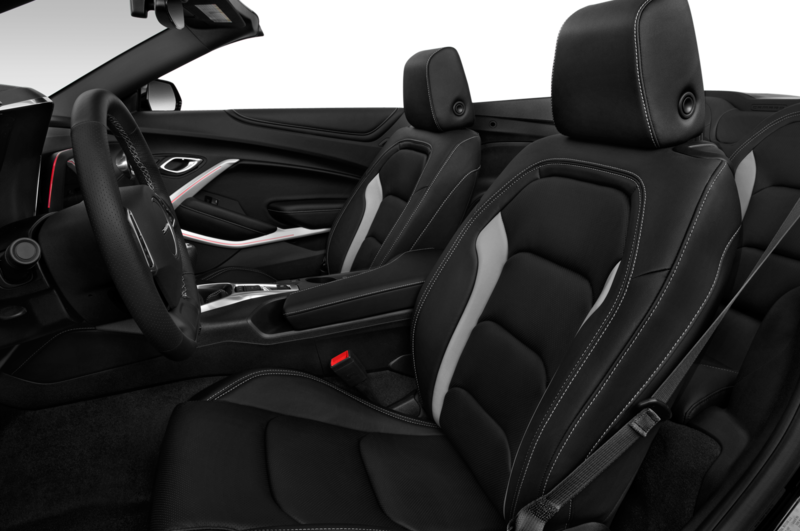 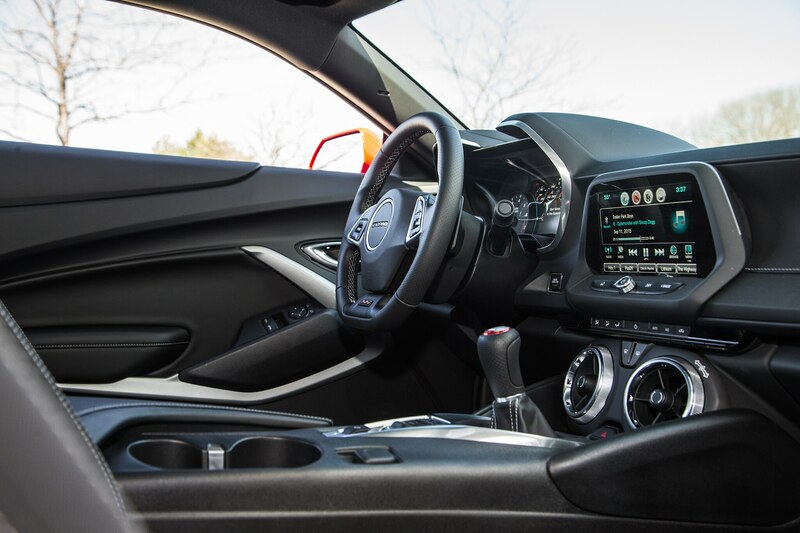 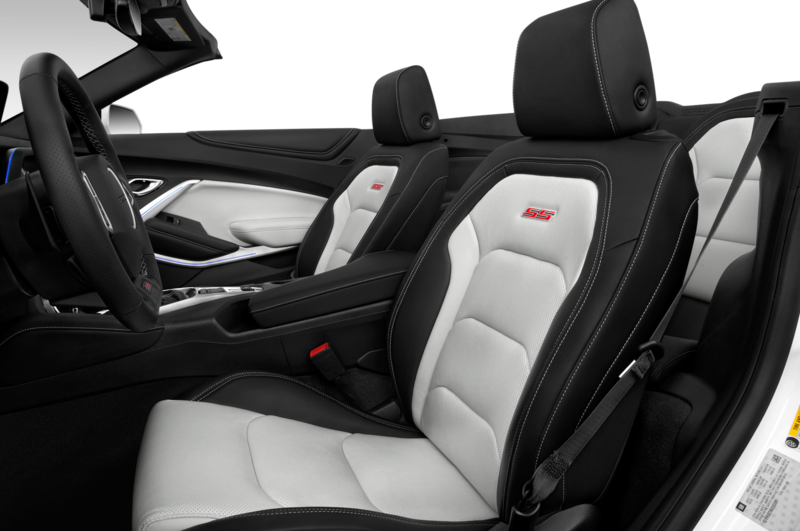 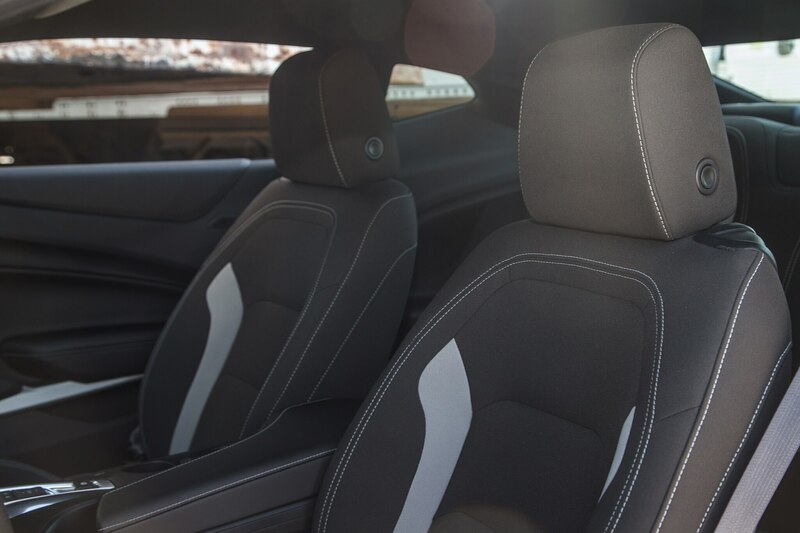 Sports cars always force some compromises on their owners, but even considerable ergonomic gripes do little to diminish our love for driving the 2016 Chevrolet Camaro SS. 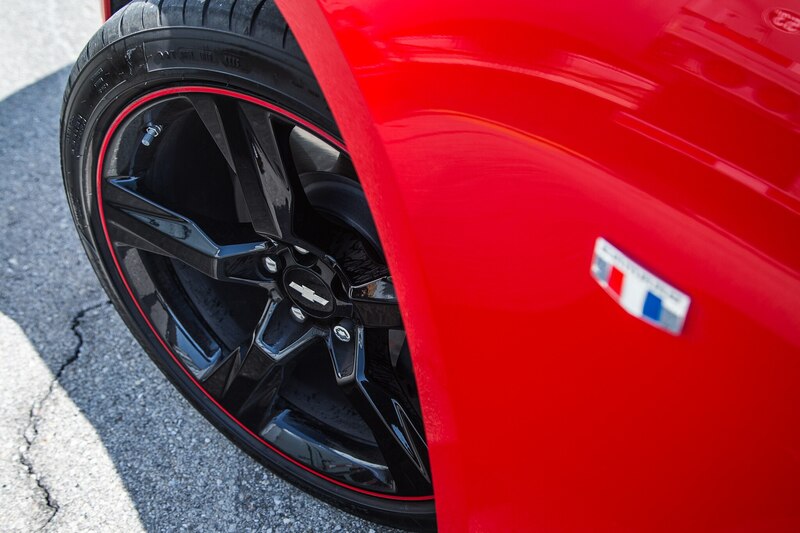 That’s how good it is. 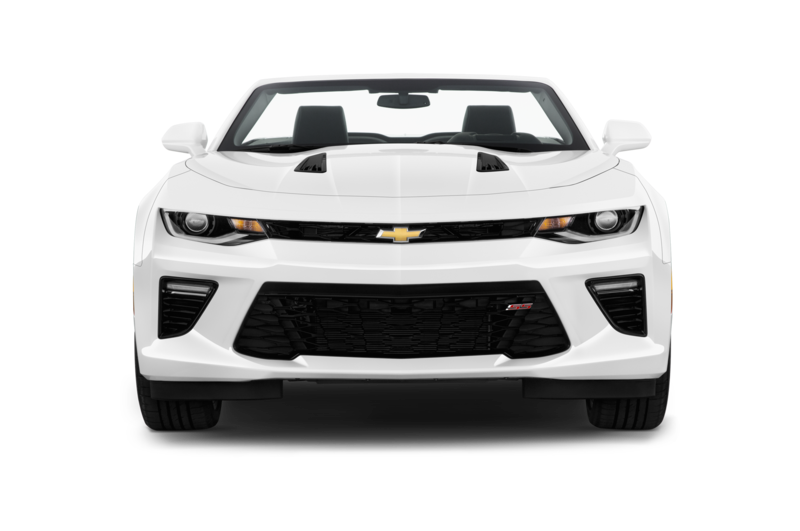 Whether we’re ripping off killer 0-60-mph runs, diving into corners, or careening our way through our favorite back roads, the Camaro is without question an engaging, rewarding co-pilot.